How does digitalization and additive manufacturing disrupt the building industry? Could 3D-printing and the internet change the way we make things forever? Can we in the near future e-mail buildings to each other? And what if we can print a building, shredder it, and then print something new with the same material? How will this have a positive effect on the environment and the economy? And how will it influence our notion of craftsmanship? There are many questions the 3D Print Canal House brings to mind. To give a better understanding of the concepts and ideas behind the 3D Print Canal House, DUS architects frequently gives inspirational lectures and presentations. 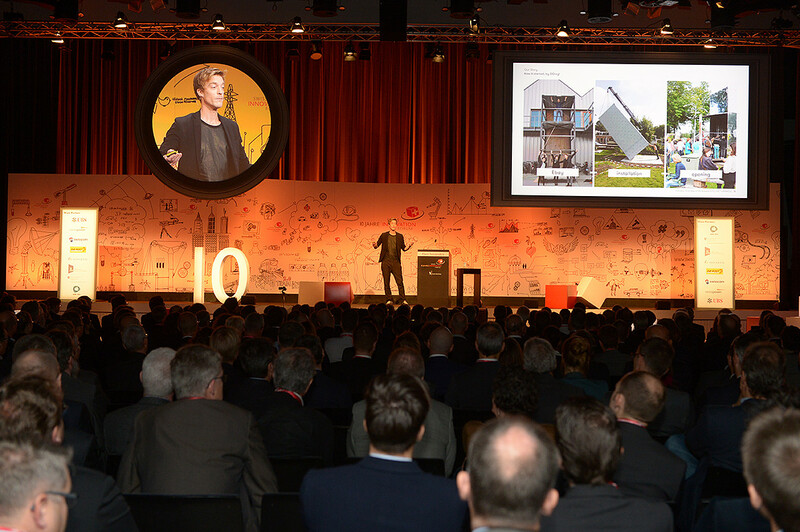 The partners of DUS are renowned keynote speakers and we’re happy to share our ideas with you. Recently, the partners of DUS have been keynote speaker in Swiss Innovation Week Basel, UBS Global Real Estate Conference London, CCA San Francisco, Israel, Sweden, Carleton University Canada, Maker Faire Rome, Munich Creative Business Week and many more events both internationally and within the Netherlands. Do you want to host or visit a lecture by DUS? The 3D Print Canal House is a three-year ‘Research & Design by Doing’ project in which an international team of partners from various sectors works together on 3D printing a full-size canal house in Amsterdam. A beta-preneurial building project, which has the goal to revolutionize the building industry and offer new tailor made housing solutions worldwide. The house is made of many printed elements. Each element showcases a research update in shape, structure and material. The project is initiated by DUS architects and shows that architecture can be catalyst for cross-sectoral innovation. It is collectively funded by all partners, who contribute to the project with knowledge and financial means. DUS offers internships to highly motivated interns with excellent parametric design skills for a minimum period of 6 months. Applicants must excel in Rhino and Grasshopper and have a great sense of (building product) design and affinity for 3D printing and innovative techniques. It is easy to click in, but hard to pull out. The new clicking system we developed to assemble the 3D printed parts looks like LEGO for grown-ups! Each room explores a new construction system. For the Entrance Room, we were looking for a simple system to connect the printed pieces (as each printed room consists of several parts). The click system works without having to uplift parts to great height to be able to slide it in. So we tested new ways to join the printed parts together and we found a way. It allows parts to be pushed into each other. Click, and there is no way to pull it out again. CAN WE SCRIPT UNIQUE NEW SHAPES IN A MADE-TO-MEASURE HOME? Each room is printed separately on site before being assembled into one house. This way the rooms can be carefully tested in a safe and easy accessible manner. Each room is different and consists of complex and tailor-made architecture and unique design features. The structure is scripted and this creates its proper strength but also generates ornament, and allows for new types of smart features, such as angled shading scripted to the exact solar angle. Each printed room consists of several parts, which are joined together as large Lego-like blocks. Both the outside façade as the interior are printed at once, in one element. Within the 3D printed walls are spares for connecting construction, cables, pipes, communication technique, wiring etc. The rooms themselves are entirely structurally sound. In the second phase of the project, the separate rooms are assembled into connected floors, and then stacked into the entire house. Added advantage is that the rooms can fairly easy be disconnected in case the house needs to be relocated. The main facade of the 3D Print Canal House has an extra special character as it showcases how the 3D-print technique develops. The ground floor has modest ornament: As the 3D print technique develops and the number of building elements grows also the level of experiment in ornament rises, which is expressed in the most richly decorated part of the façade: The step gable. The structural aspects are tested both digitally and on site in collaboration with the structural engineers of Tentech. 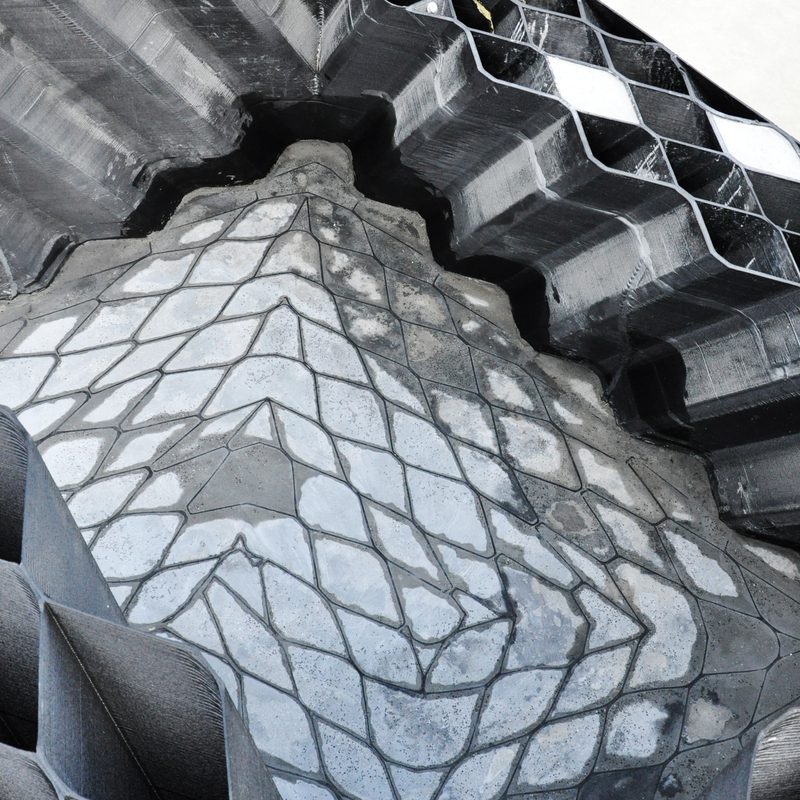 The construction is based on a structural extruded printed grid that can take several shapes. Folds in the structure generate strength, so the level of ornaments enhances the construction. 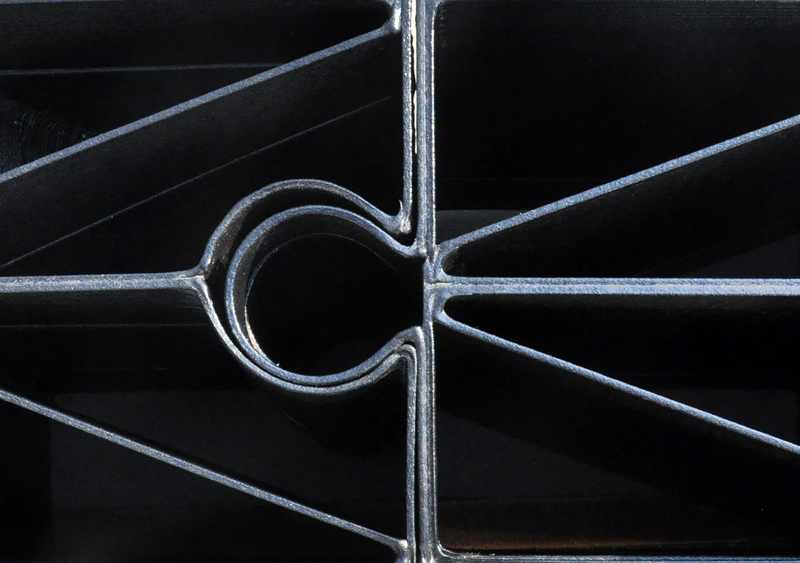 Each printed element consists of numerous diagonal hollow collumns. When the elements are mounted together the hollow collumns create large structural crosses that support the entire structure. Heijmans is building partner of the project and takes charge in the building of the house, and the developing of new means of connecting the separate elements into a safe ans solid house. Today we started printing a 6m tall wall. The wall has shafts of different dimensions. The larger structural shaft run towards the locations where adjacent rooms need support. These shafts will be cast with Henkel's Eco-concrete, and will so create a the structural framework of the house. Both sides of the wall have a different set of shafts. On one side the shafts have a slight inclination from bottom-right to upper-left, while on the other side of the wall the shafts run in the opposite direction. This way the to sides together create structural crosses. All parameters we work with are scripted. This allowed us to change the dimensions of the structural shafts during the design process to match the structural demands from our structural engineer partner Tentech, without redrawing the complex design over and over. 3D-printing and scripting are perfect partners in terms of flexibility. While scripting allows us to create designs that can easily be adapted to changing circumstances of all kinds, the printer doesn't bother if it prints a series of similar copies, or an awesome series of unique pieces. The last few weeks we have been experimenting with inclined shafts. The new house-pieces we print contain a double layer of shafts, one side running in one direction, the other side in the other direction. The script we developed for these designs allows us to change the shaft dimensions and the angle of the shafts. The coming weeks we are taking this a few steps further by adding parameters to the script. We will update you soon! DUS architects designed and printed the facade of the Europe Building on the Amsterdam Marineterrein (Marine Area): the place where in the next 6 months, European politicians and government officials will be meeting for the EU Presidency taking place in the Netherlands this year. The entrance of the building is partially constructed with playfully shaped sails that refer to the historical sailing ships that used to be built in the area. The alcoves created under the sails house EU-blue coloured 3D printed benches. Every seating element is parametrically designed and fits perfectly within each alcove. 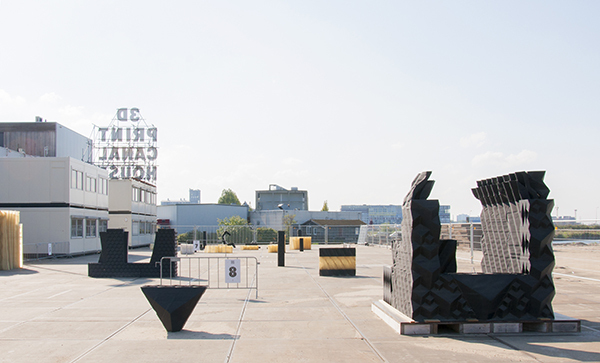 All elements were printed on the site of the 3D Print Canal House with the XXL 3D printer. After the presidency, the elements can be shredded and reprinted. The 3D Print Canal House has moved! To an exciting much bigger location 800 meters from the old site at Badhuiskade. The site is a unique waterfront location and 'living lab' in Buiksloterham. With over 3000 square meters there is plenty of space to grow, produce and actualize our printing and building ambitions! The 3D Print Canal House keeps on growing, and it is time for more space! This summer (July and August) we will be moving from our current site to a much bigger location close by. The new location will be arranged like a real 'living lab' with space for growth, production and assembly. We will re-open in September, so stay tuned for updates here and on social media. The last open day of the expo is Friday July 10, 2015. The exhibition 3DXL at the Design Exchange in Toronto just opened! 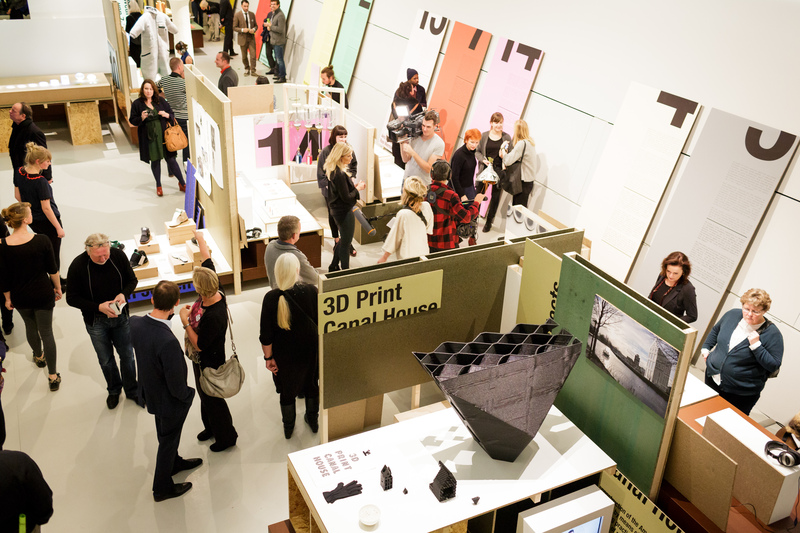 The exhibition, featuring the 3D Print Canal House, is a showcase for new projects in 3D-printed architecture that are radically changing the building industry and as a result, the way in which we live. The exhibition highlights large scale 3D printing and pushes for the intersection of design, art, science, construction, and community. 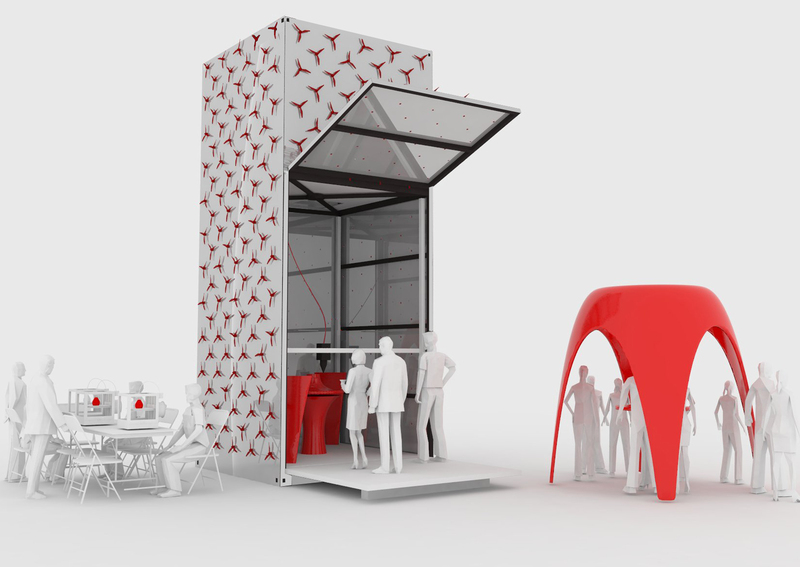 It is an offsite exhibition, offering visitors and passers-by the possibility to experience 3D printing on spot. The 3D Print Canal House is a key piece in the exhibition, displayed next to Swiss architects Michael Hansmeyer and Benjamin Dillenburger’s Arabesque wall, an strikingly intricate 3D printed building component made from sandstone, and California’s Emerges Objects Saltygloo, the worlds’ first 3D Printed pavilion printed entirely from locally harvested sea salt. 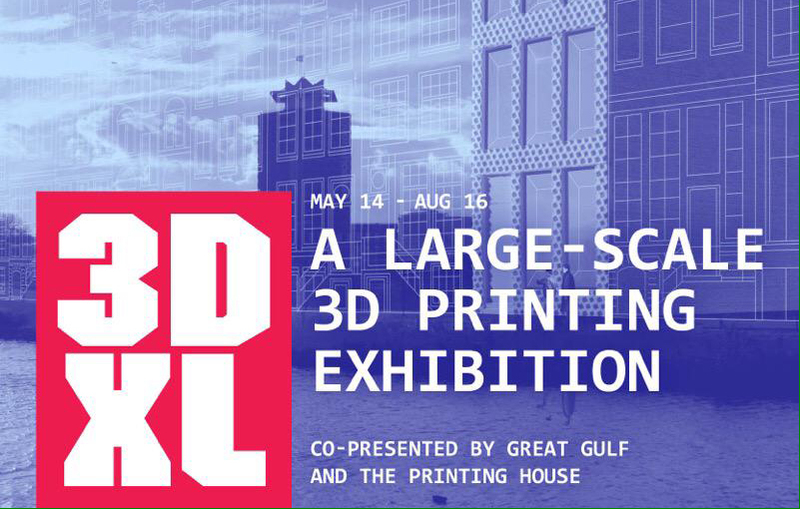 By bringing XL 3D printed projects from all over the world together in one exhibition space the Design Exchange sparks the debate on the future of additive manufacturing at a scale that goes beyond product and design. DUS architects' 3D Print Canal House and Potato Table Ware can now be seen in 'Hands Off - New Dutch Design at the Confluence of Technology' at the Museum of Craft and Design. The exhibition highlights 20 Dutch designers that interweave design, art and craft with modern technique. Unique in the way they use innovative methods to re-interpreted traditional ways of making. ‘Hands off’ includes designs of among others Marcel Wanders, Dirk van der Kooij, Studio Drift, Ted Noten and Borre Akkersdijk, utilizing technology that requires no ‘making’ by hand in the traditional sense ;). It provides a showcase for new developed materials, new ways to use old technologies, and new ways of looking at and interacting with the world. The exhibition is curated by Zahid Sardar, putting the exhibition together using four themes: Techno Craft, Biocraft, naturopaths and Hands Off. The works of the artists are all divided into one of these themes. The exhibition will continue until September 13. Later this year the exhibition will travel to Eindhoven and reopen there during the Dutch Design Week! 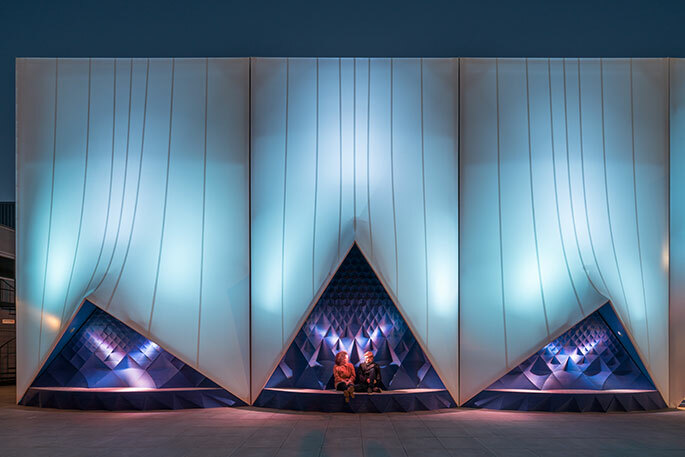 DUS architects was one of the finalist of the annual New Material Awards. This award is granted by the Nieuwe Instituut to a project for its innovative use and design of materials. The printing material used by the XL 3D printer was nominated for this prize. The material, macromelt, is created by our German partner Henkel. It is a bio-based plastic, made from linseed oil, enriched with different additives making it an ideal material for printing building parts. Although unfortunately we didn't won the prize, you can all have a look at the exhibition showing all the finalists in the Nieuwe Instituut in Rotterdam until January 4. 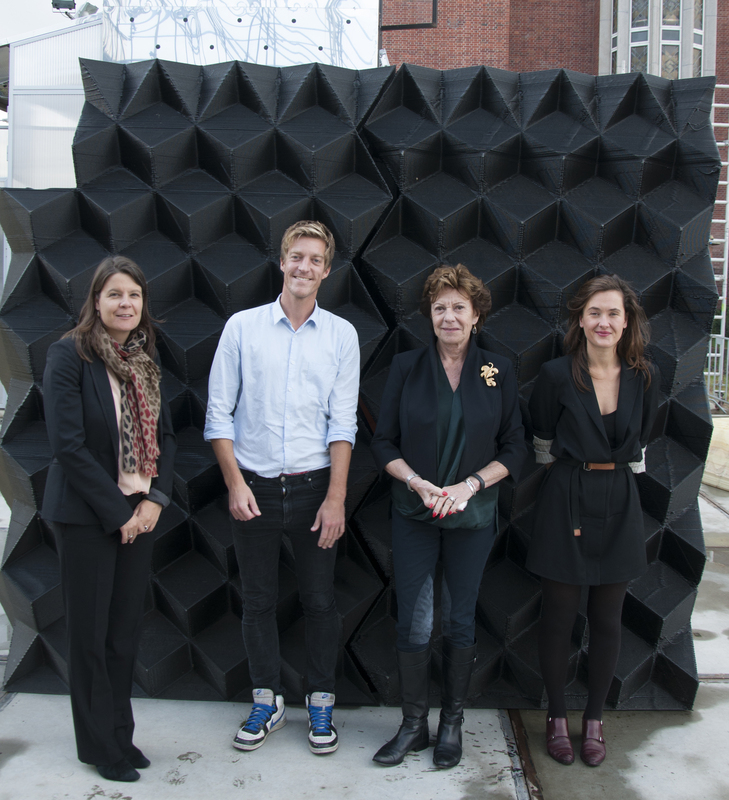 On October 17th the Dutch European Commissioner Neelie Kroes for Digital Agenda visited our building site. DUS cofounders Hedwig Heinsman en Hans Vermeulen showed her around the expo and building site and explained the research project to the commissioner. After the tour and lunch, a 'world moon' necklace was given to Neelie Kroes. This is a unique silver necklace designed by DUS made with a 3D printed mold, that she wore later that day on 'De Wereld Draait Door' tv show! 3D Print Canal House wins SEA! The Sustainability Entrepreneurship Award is the largest sustainability award worldwide. 320 entries from 65 countries where handed in this year. The SEA for 'Best Idea' was awarded to DUS Architects. The 'SEA of Excellence' has been presented to two persons this year: to Barack Obama for his efforts to reduce greenhouse gases and to “The Ocean Cleanup” – a forward-thinking and passive form of collection to clean the oceans of plastic. Further prizes were awarded in eight categories – all of them pioneering, innovative ideas that are making a high social contribution towards a sustainably positive future. The 3rd SEA Gala was held at the Sophiensäle in Vienna, with around 250 high-calibre international guests from business, science, politics and society. 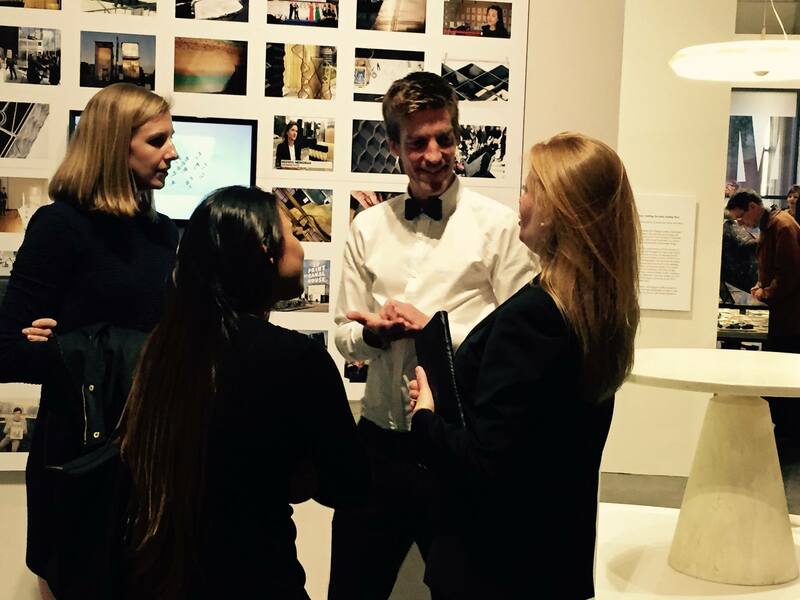 Hedwig Heinsman, who co-founded DUS together with Hans Vermeulen and Martine de Wit in 2004, represented the firm and the team of the 3D Print canal House at the event. The award was handed over by member of the jury, EU parliament member Lambert van Nistelrooij. During his visit to the Rijksmuseum in Amsterdam, The 3D Print Canal House was presented to United States’ President Barack Obama by the Mayor of Amsterdam Eberhard van der Laan. In addition to the historical Nightwatch, the visit also focused on new innovations in Amsterdam. The 3D Print Canal House researches how 3D printing techniques can offer solutions to housing questions worldwide. President Obama visited the Rijksmuseum together with Dutch Prime Minister Rutte, Mayor of Amsterdam Eberhard van de Laan and director of the Rijksmuseum Wim Pijbes. Immediately next to the historical Nightwatch a piece of the future of Amsterdam was presented: the World’s first 3D printed canal house. Mayor van der Laan showed several scale models of the 3D Print Canal House as well as a 1:1 print at the full size of 1.5 by 2 by 2.5 meters. The 3D Print Canal House is a unique research project because it combines history and future: a canal house is 3D-printed in full size with the KamerMaker, a large moveable 3D-printer that was developed specially for this project. This building project addresses the question of how digital production techniques can offer affordable housing solutions worldwide, for example in slums or in disaster areas, as well as looking at how digital designs can be shared and modified via the internet and new online networks. The 3D Print Canal House is printed with newly developed materials derived from biobased raw materials. It is also possible to print with recycled plastics. Material, construction and design parameters are all closely connected in the design & build process of the 3D Print Canal House. 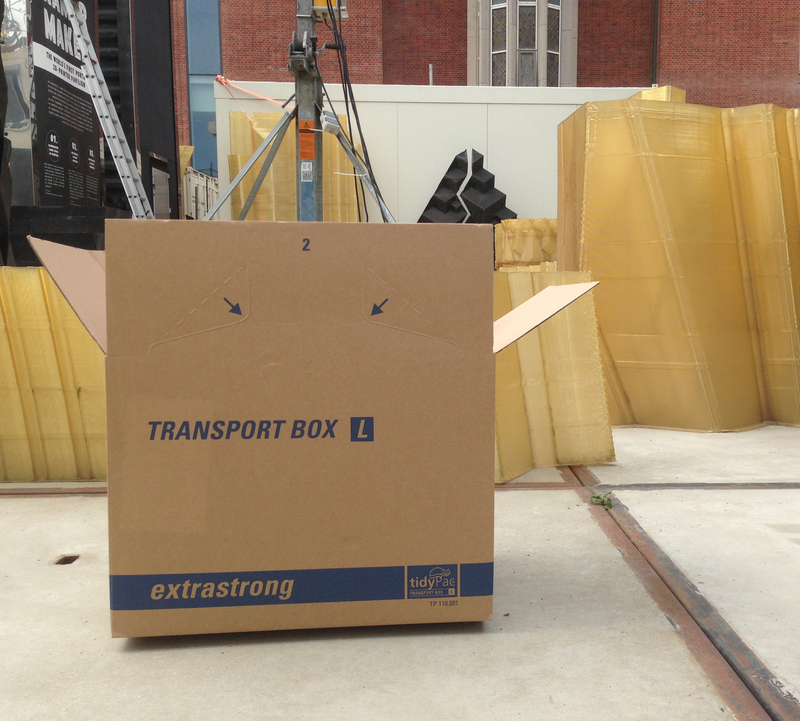 The 3D print material for the house is developed by material partner Henkel. Aim is to develop a renewable, sustainable, strong, tactile and beautiful material that can compete with current building techniques. At this moment we're testing with different material samples to develop the optimal print-material. Base for the current tests is hotmelt (80% bio-based). 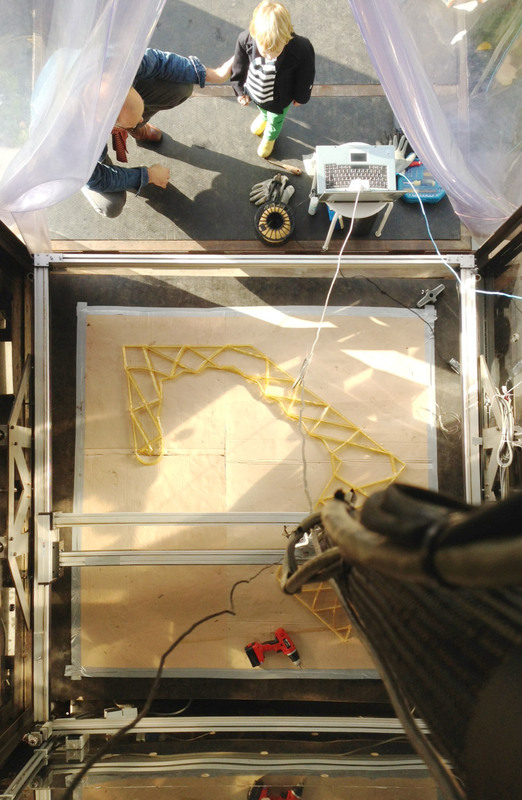 The layers of the facade of the 3D Print Canal House are printed at once, as one element. 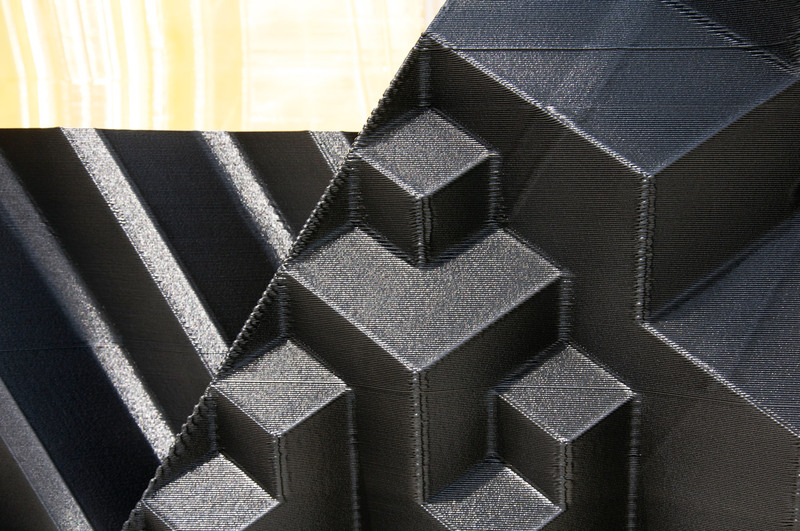 This means that a 3D printed wall performs both as interior and exterior facade. The space in between the facades consists of numerous diagonal hollow shafts. Some of these shafts are filled with a special lightweight foaming eco-concrete (developed together with Henkel) to create large structural crosses that support the entire structure. The eco-concrete fill mounts the elements together. Besides connecting the separate elements, the concrete also provides strength and stability to the structure. 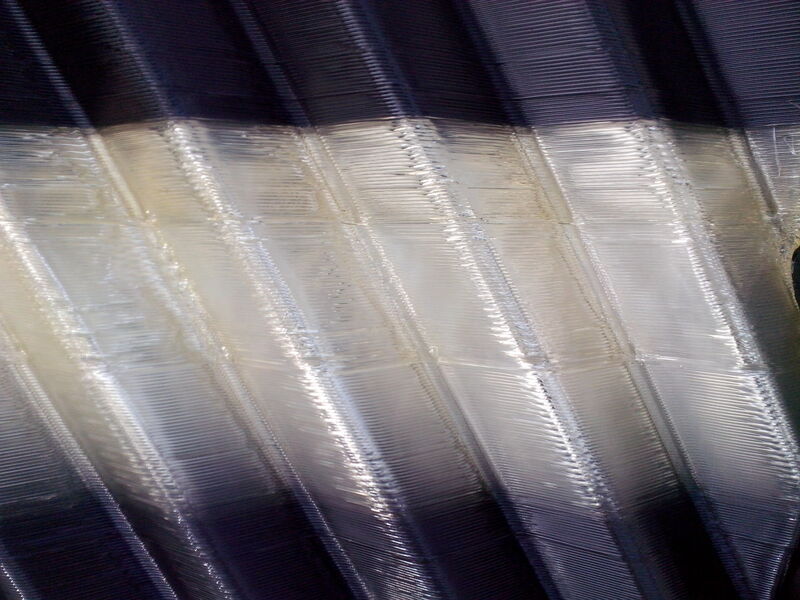 There is a lot of air inside the concrete so it acts as insulation as well. It is not necessary to fill all shafts with concrete, this happens in a smart way. 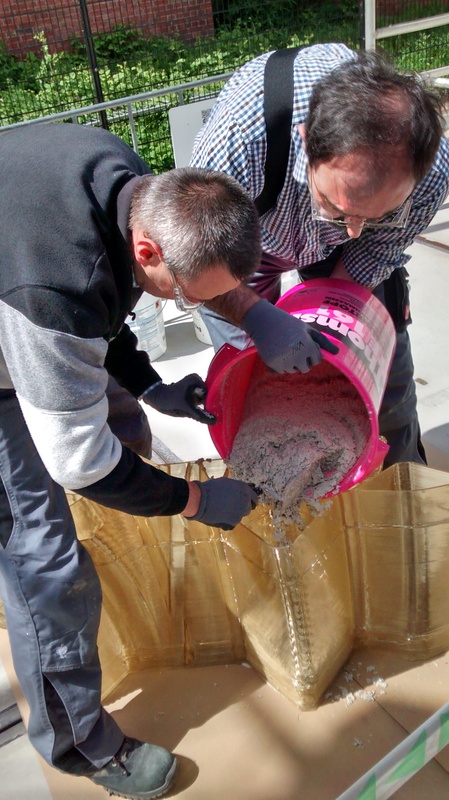 We use as little concrete as possible to maximize the strength, weight and stability of the 3D Print Canal House. We were recently provided with several new material samples by our partner Henkel. After some initial testing with extruding, we made a selection of the best materials to print out this lovely collection of stools with. The various colors of the stools are actually the natural colors of the different materials creating a nice gradient in stools. Besides the possibilities of bio-based or recycled plastics, we are also researching different kind of natural materials as a base for our prints. At the moment we are testing a printing material based on the potato starch from the leftovers of a french fries company. The table ware that is printed with this material is completely biodegradable. For this reason probably not that suitable for printing houses, but of course very suitable for numerous other applications, and the material gives a great texture. Furthermore we are testing a printing material which is made from bamboo. Besides the very nice texture the material gives to prints, it fills our expo with a nice smell as if we are a carpenters workshop! 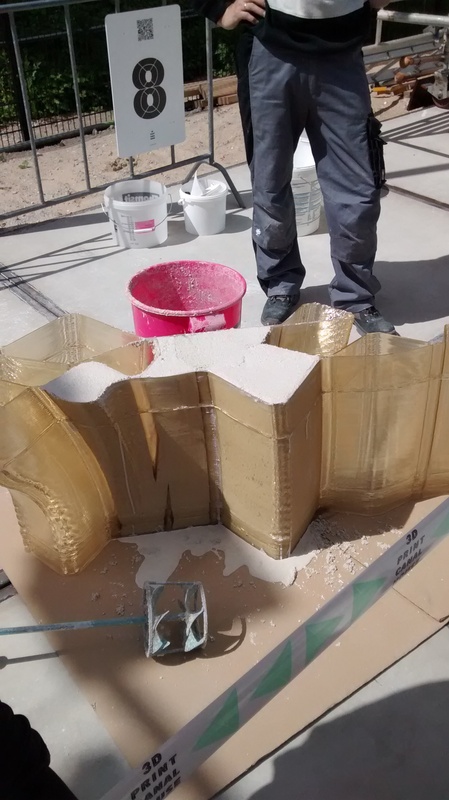 As well as the use of bio based plastics we recently carried out our first test of combining our printed structures Eco concrete. This was the first in a series that we will carry out in order to increase the structural strength of our printed pieces. The concrete casting has a two fold function; firstly to increase the compressive structural capacities of the printed pieces, secondly it will also act as a connecting material to join seperate pieces together via the inclined shafts that we have developed. With a demonstration from Henkel, we were able to experience the process first hand, seeing what proportions and how the different elements were mixed together and applied. The concrete mix includes lightweight aggregates in an attempt to keep the weight and material consumption to a minimum. 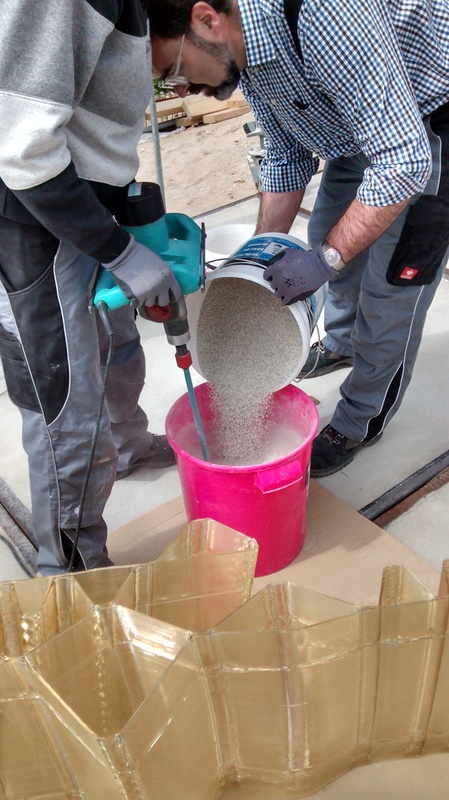 The special concrete mix is variable giving the potential to alter parameters such as curing time, additional insulative material and colour. In this particular test it was cast just after lunch time and it was solid enough to stand on before the end of the day! At the 3D Print Canal House expo site, you'll get access to audio tour that you can listen to on your smart phone using a QR code scanner. Here you can download the auditotour. To do this you need a password, which you can ask for at the 3D Print Canal House front desk. 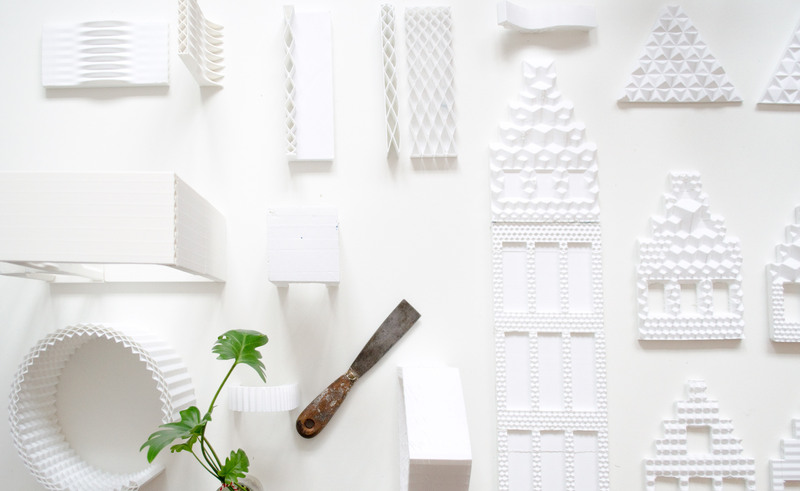 3D-print building techniques make architecture personal again. Just imagine... It won’t be long before you can online select your favorite room designs made by your favourite architects, and customize them to your personal taste. You add personal data, such as size limits and location, and the rooms are then digitally connected and merged into your ideal house. You can 3D print scale models of the house, and when you’re totally content with the design, contact a contractor with a KamerMaker, and place the order. This bridges the gap between designer, client and builder and makes architecure truly architecture personal. Digital prodcution of architecture is an excellent tool when complex and tailormade architecture is required. New custom-made interiors for excisting buildings for instance. Just imagine you 3D scan an building structure. then digitally design a bathroom that exactly suits the space, which is then 3D printed and inserted on site in a day. No labourous timberwork on site, no mess.. a perfect match! The 3D Print Canal House and other projects by DUS architects have been widely published in news papers and magazines, including The New York Times, The Guardian, Domus, Asahi News, Frankfurter Allgemeine, Dezeen, NRC Handelsblad, Volkskrant, Financial Times, The India Times, Time Magazine, Die Welt and National Geographic Magazine. 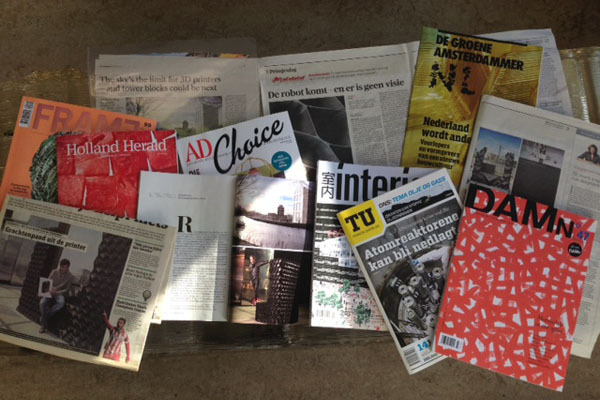 The 3D Print Canal House project was also featured in several national and international tv shows, including BBC News, Al Jazeera News, De Wereld Draait Door, ZDF News and Larry King Now. The 3D Print Canal House is located in Amsterdam North and easily accessible by car and public transport. It is also just a short bike ride or a 15 minute walk away from Amsterdam Central Station. Westbound: At the A10 Motorway take exit S118 followed by Klaprozenweg, Ridderspoorweg and Asterweg. You will approach the main entrance (Asterweg 149) from the north, with the 3D Print Canal House on your right. Eastbound: At the A10 Motorway take exit S116 followed by Nieuwe Leeuwarderweg, Johan van Hasseltweg, Klaprozenweg, Ridderspoorweg and Asterweg. You will approach the main entrance (Asterweg 49) from the north, with the 3D Print Canal House on your right. From Amsterdam Central Station, by bus: Take the exit marked “Noord”. Cross the road, and you will then see the ferries. 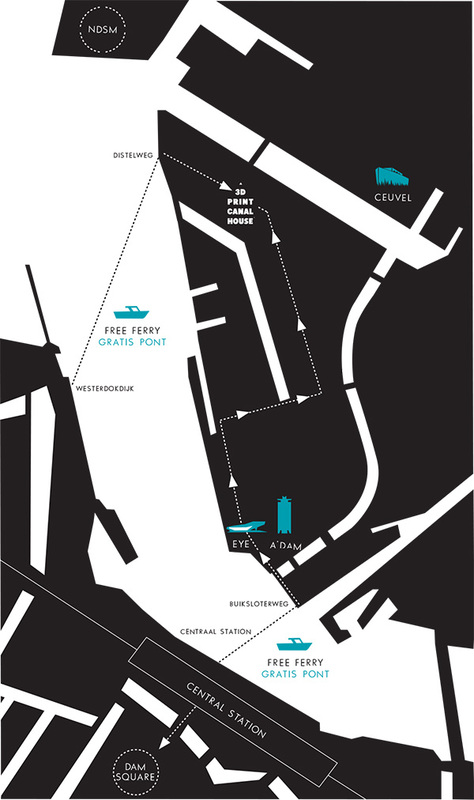 Take the (free) ‘Buiksloterweg’ ferry to the other side of the IJ waterway (ferries depart every 6 minutes). After leaving the ferry, take bus 38 from Buikslotwerg and get off at stop Distelweg. You will approach the main entrance (Asterweg 149) from the north, with the 3D Print Canal House on your right. From Amsterdam Central Station, by foot or bicycle: Take the exit marked “Noord”. Cross the road, and you will then see the ferries. Take the (free) ‘Buiksloterweg’ ferry to the other side of the IJ waterway (ferries depart every 6 minutes). After leaving the ferry, turn left towards EYE film museum (the futuristic white building). Pass EYE and follow the cycle and footpath (IJpromenade) along the IJ. After 400 meters, turn right into the Grasweg and proceed to (the sign of) the Hyperion Lyceum). From the Hyperion Lyceum, take the first block on the left to the Asterweg. At the end of the Asterweg, after about 500 meters, you will find the main entrance (Asterweg 149) with the 3D Print Canal House on your left. From Westerdoksdijk: Take the ferry to the Distelweg and follow the Distelweg. After about 400 meters, turn right to the Asterweg. Go straight forward and you will find the main entrance (Asterweg 149) with the 3D Print Canal House on your right. 3D printing is a fascinating new production technique. It allows you to directly translate a digital file into a physical product. 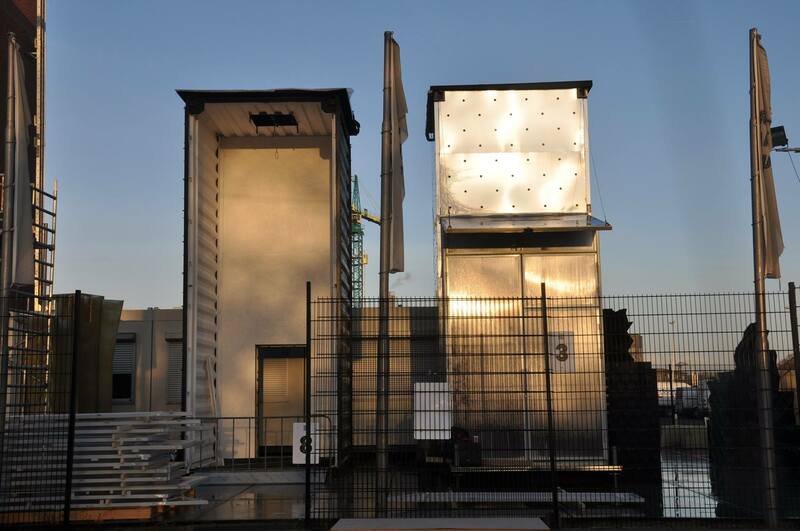 3D printing can have huge implications for the way we fabricate things - for example the elimination of waste, transport costs and standardisation of elements - DUS architects is investigating what the implications of 3D printing are for the building industry. What better way to do this than by 3D printing an entire house? 2. Why a canal house? The canal house is a symbol of Amsterdam. When the canal belt was built 400 years ago, Amsterdam was a prime example of innovation. Each canal house can house several functions, such as trade, storage, living, craft, and each canal house is richly ornamented and unique. A canal house is recognizable and attractive. It is interesting to investigate what this traditional archetype can be in a 21st century context. 3D printing a canal house shows the world how to combine traditional local values with new innovative ideas. 3. 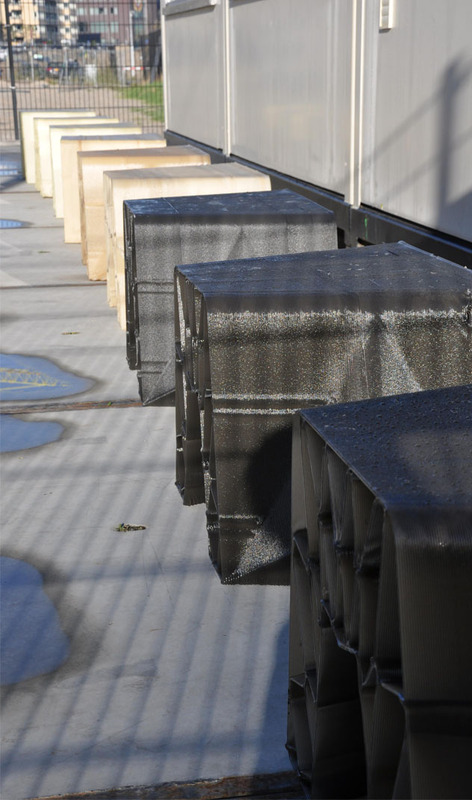 What are some of the advantages and disadvantages of 3D printing a building? One great advantage of 3D printing over traditional building techniques (such as prefabricated concrete) is the possibilities of using a high level of detail and ornament and variation. Rather than using standardized elements, 3D printed designs can each be modified and customized to fit the user’s needs and taste. It will no longer be more expensive or more labour intensive to add details to for example your façade and it is easy to create unique objects. 3D printing is an additive manufacturing technique. That means the process goes straight from the raw material to the final product, thus eliminating waste. There are no transport costs, as designs can simply be transferred digitally and printed locally. This also implies that when 3D printing is used widely in each part of the world, it will no longer be cheaper to have things produced in countries like China or Bangladesh as opposed to the Netherlands. Everyone can just produce everything in their own local context. In terms of disadvantages, it is obviously a huge challenge to create a building that complies with all the current building regulations. There is the question of insulation, fireproofing, wind loads, foundations…these, as well as the possible materials to print with (using this printer) are all things that are being researched and investigated. 4. How does the XL 3D printer work? The XL 3D printer works in exactly the same way as the Ultimaker, the small desktop 3D printer, as it is simply an upscaled version. A digital design is placed in the ‘brain’ of the printer, a very simple computer, where it is translated into a G-code. A G-code is a file that slices a 3D model into layers. This file programs the printer to move along a path that is optimal for that design, layer by layer. In the ‘control room’ of the printer is also the material supply. 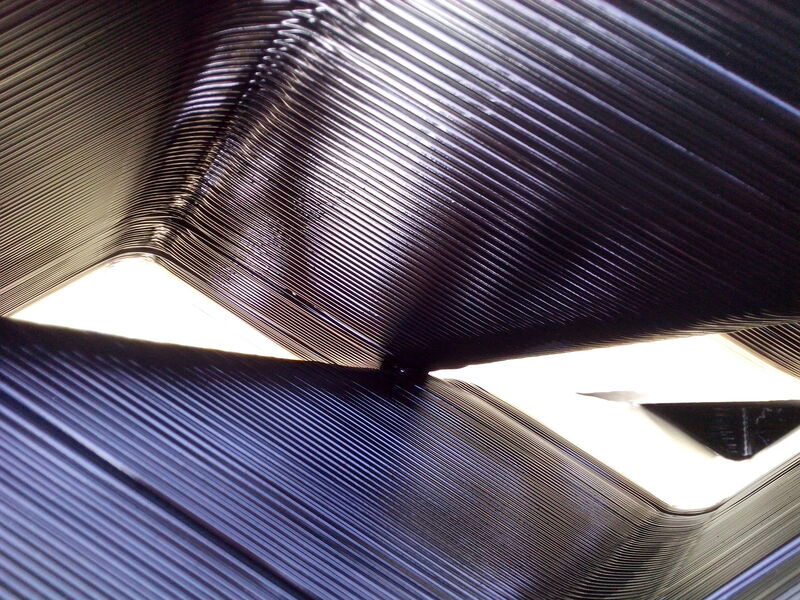 We print with plastic in the form of granulate which enters an extruder via a funnel. In the extruder the granulate is heated (the material melts at 170 degrees Celsius) and pressed together to a homogeneous liquid. This is brought to the printer head by a heated tube. The printer head extrudes the melted material along the programmed path on the X and Y axes and when finished moves up one step along the Z axis. This is fairly similar to a normal printer, only with one more direction, which allows objects to be printed layer by layer. 5. 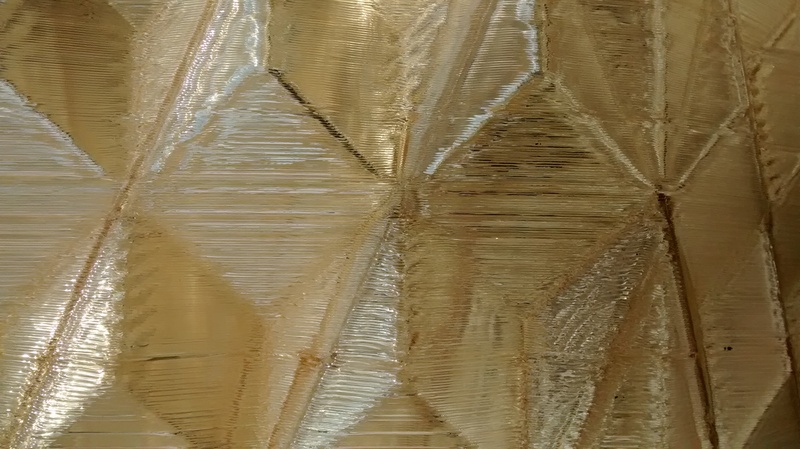 What materials does the XL 3D printer print with? We are currently printing with bioplastics. The granulate that goes into the XL 3D printer is called Macromelt, a type of industrial glue (Hotmelt) developed by Henkel. It is made of 80% of vegetable oil. It melts at 170 degrees Celsius. We aim to print with a material that is sustainable, of biological origin, melts at a relatively low temperature, and of course is sturdy and stable. 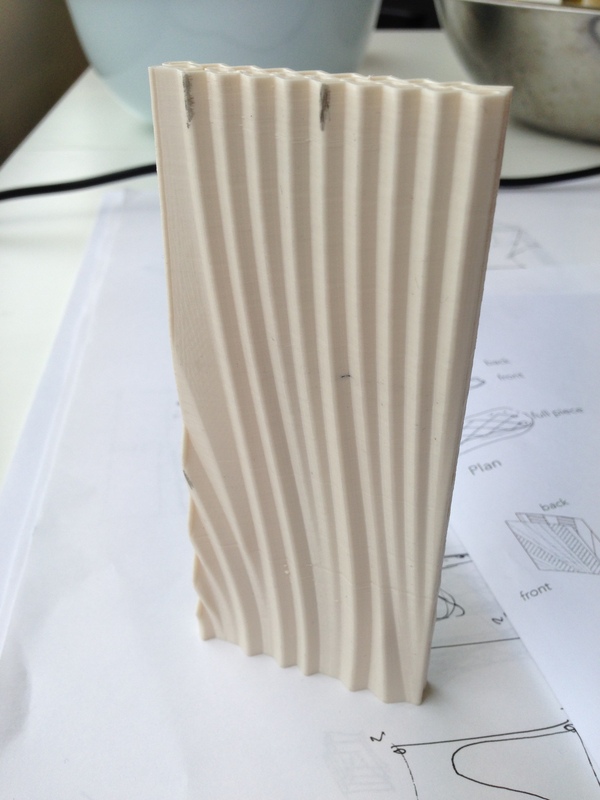 We are also researching the possibilities of printing with recycled materials: Plastics of course, but we’re also looking into using wood pallets and natural stone waste. Technically, the XL 3D printer can print with any material that melts (at a temperature that isn’t too high) and then hardens again. 7. Who are the initiators and partners? 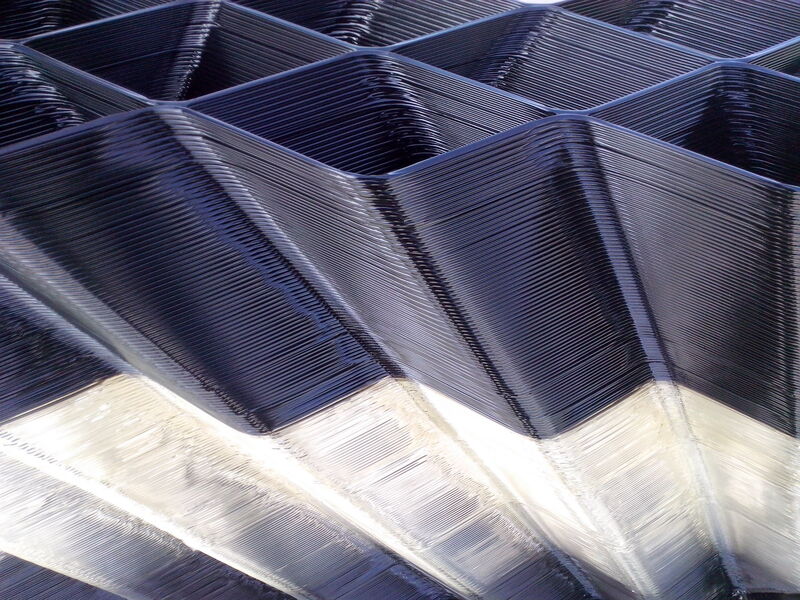 Henkel is developing a new sustainable 3D print material for the building industries. Heijmans is researching what new construction techniques are needed for 3D printing buildings. The Municipality of Amsterdam investigates the effect of the digital maker-industries on regulations and opportunities for employment. Check our website www.3dprintcanalhouse.com for an actual overview of all our courageous partners! 8. How is the house financed? 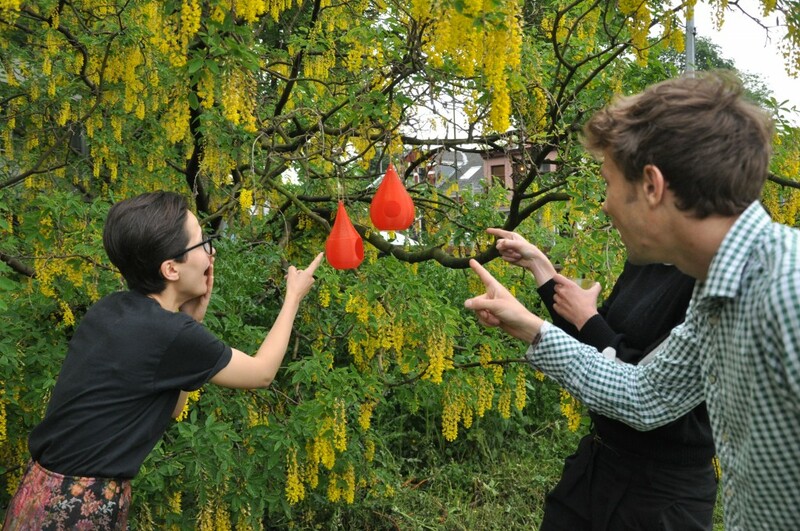 The project is partially funded by the municipality of Amsterdam, Amsterdam Fund for the Arts and the DOEN Foundation, and partially by the contributions of our partners. A lot of the sponsorship the 3D Print Canal House gets is in natura, through contributing knowledge or materials. 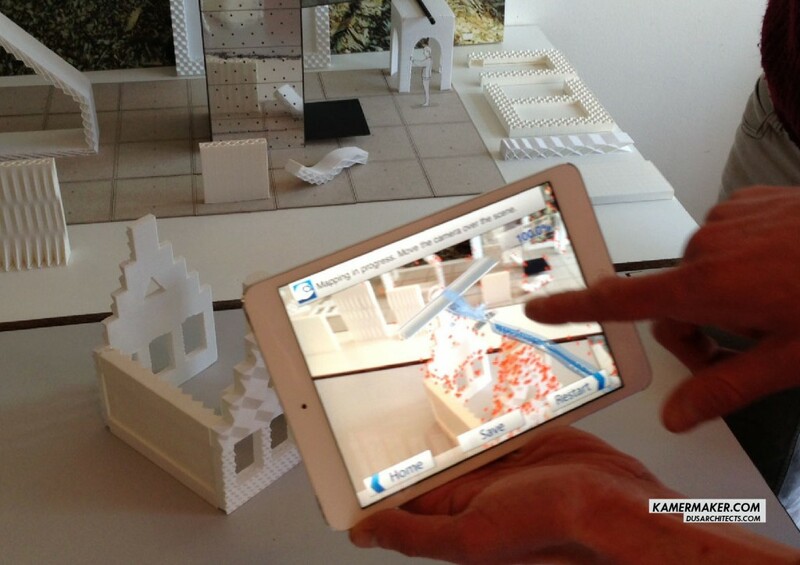 In fact, the 3D Print Canal House is one big collaboration project, in which everybody shares and gets a share. And of course our visitors help finance the house by paying an entrance fee! 9. How much does the house cost? That is impossible to say since all of the materials we use have never been on the market for this purpose. The 3D Print Canal House is a research project partially funded and partially created by DUS architects and its partners. At the end of the research trajectory, we hope to be able to give an accurate estimate of what it takes to 3D print a house. The goal is to create a cost-effective building technique for building sustainable and comfortable houses. 10. 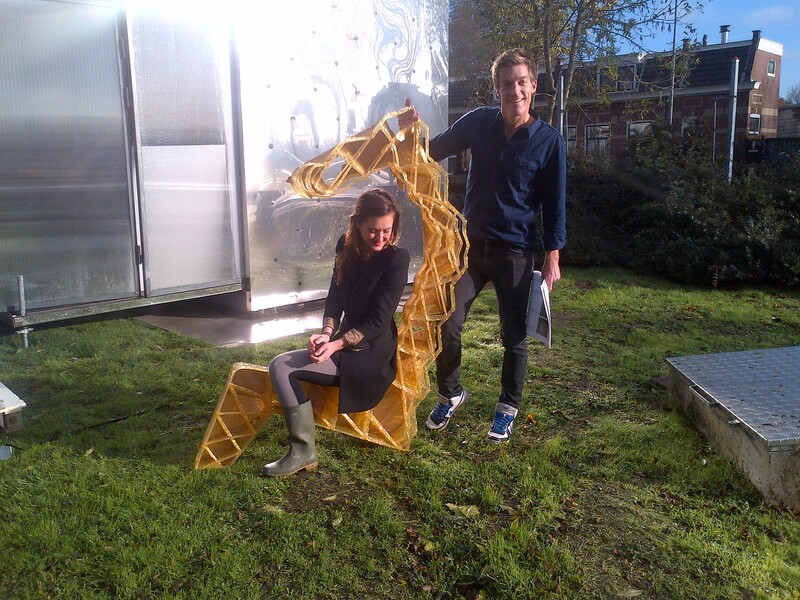 What is there to do at the 3D print canal house? The construction site of the 3D print canal house not just a building site, it is an open workplace where an international team of partners collaborates in ‘research and doing’ (R&DO). You can visit it with an appointment with one of the project employees and have a real ‘peek behind the scenes’. 11. When will the house be finished? 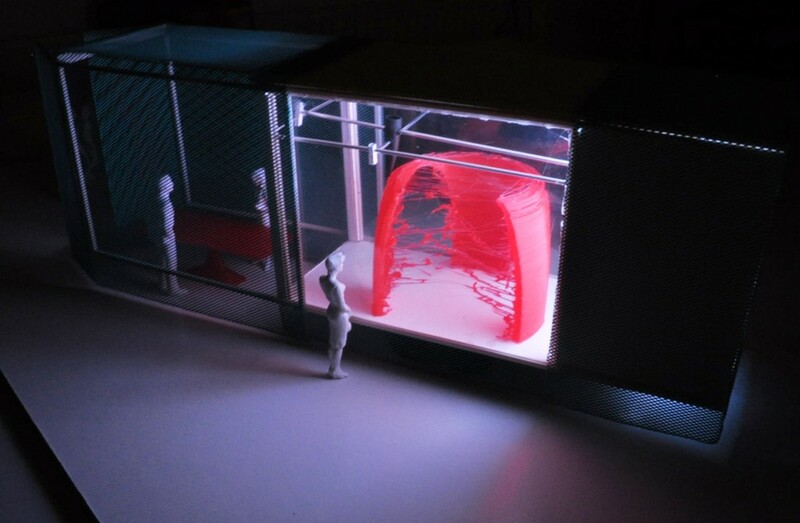 The 3D Print Canal House is a 3 year research and development project. This does not mean that the expected time it will take to 3D print a building in the future will be 3 years. On the contrary: The aim for the use of 3D printing in architecture is to build faster compared to traditional building techniques. 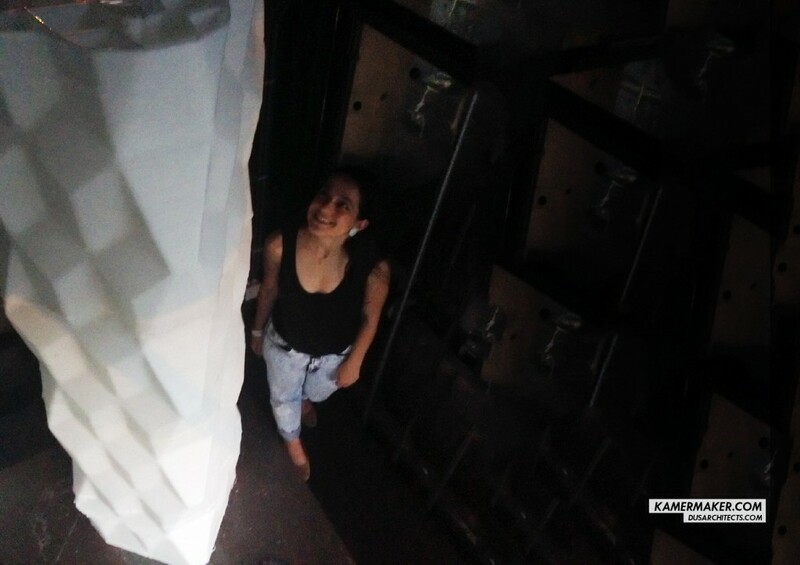 Within the 3 years research project of the 3D print Canal House, DUS architects is building the Canal House and by doing so building up new knowledge for this purpose and sharing this with the community through the website and expo center. 12. What will happen to the building after it’s finished? Most likely it will be a public building. We hope that the 3D Print Canal House will become a hub for innovation and new production techniques and materials for the building industry. 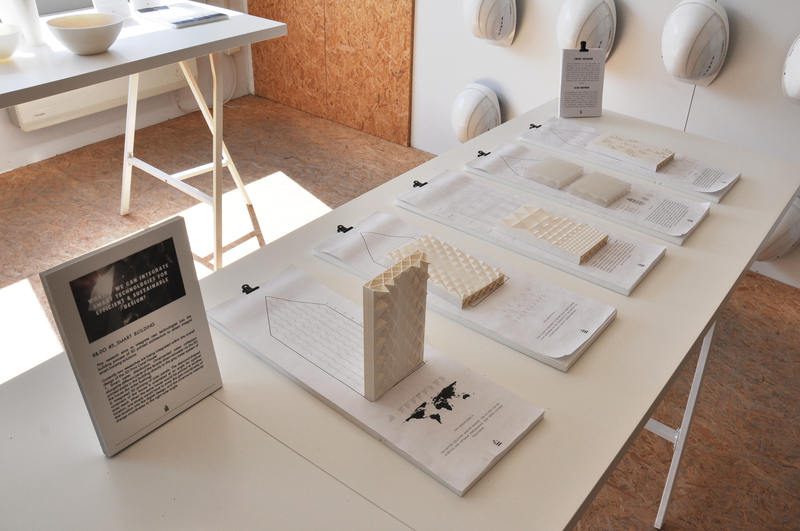 And of course that many more 3D printed buildings will pop up around the globe! 13. What sets this print project apart from other large scale 3D print initiatives? Currently, 3D printing is on the rise, and there are many other initiatives, both on a large and small scale (also see ‘other 3D printing initiatives’ for a bit more in depth overview) going on that we can hardly keep track. What makes the 3D Print Canal House special is that it is a project which is ‘open’ in every way: The initiators, designers and builders (DUS architects) are the client: the focus is on research, experimentation and development, instead of finishing a house. The project involves many different industries, disciplines and parties tied together by a common goal. More importantly, the process is being shown to the public (not only the successes but also the possible failures it will encounter!) in order to learn and develop. 14. What are some other interesting 3D printing initiatives? 3D printing is already widely used in many industries, particularly when on a small scale a high level of unique detail is required (big chances are that if you need a crown or hearing aid, it will be 3D printed). It is a production technique that is becoming more and more widely available. The great thing is that 3D printing can easily create objects or parts of objects that are custom fit and have a high level of detail and variety. The 3D Print Canal House is a pioneering example and the first house that is being printed on the spot with the largest portable 3D printer. However, there are quite a few other initiatives on a similar large scale around right now, and chances are there will be more and more over the next months and years. 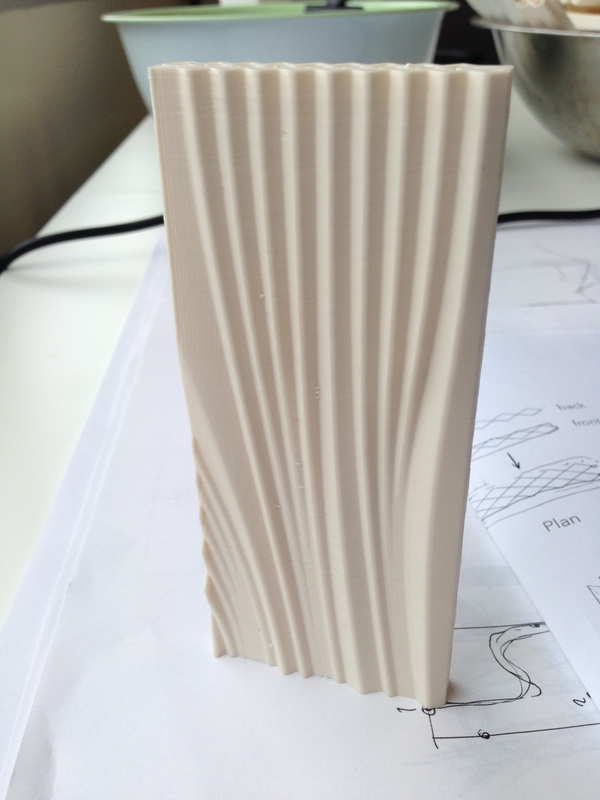 Examples of using ‘our’ FDM printing technique combined with a concrete like material are Contour Crafting in California and Shanghai WinSun Decoration Design Engineering Co.
A different technique is developed by Enrico DinI in Italy using first a layer of sand and immediately after a layer of binder (glue) - turning the sand into a solid concrete like object. This printer is also used for Universe Architecture’s Landscape House. Dirk van der Kooij in Zaandam produces interior objects like chairs and vases with a FDM like printing technique using recycled plastics. On a smaller scale 3D printing is used in the medical industry, machinery, prototyping, jewelry, art, furniture, and many more. Would you like to start 3D printing yourself? 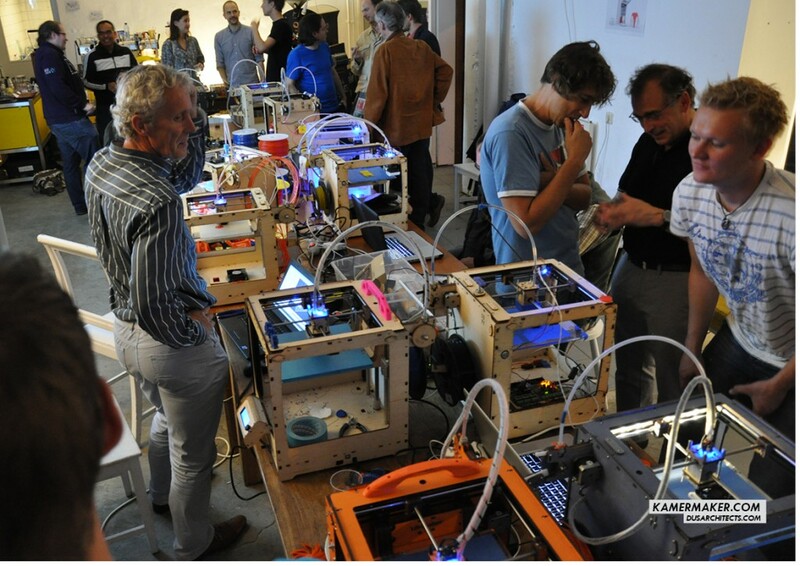 Visit open fablabs like Protospace or i-Fabrica (in the Netherlands). If you would like to have your digital model 3D printed by a third party upload your model on one of these websites: 3D Hubs, Shapeways or Materialise. 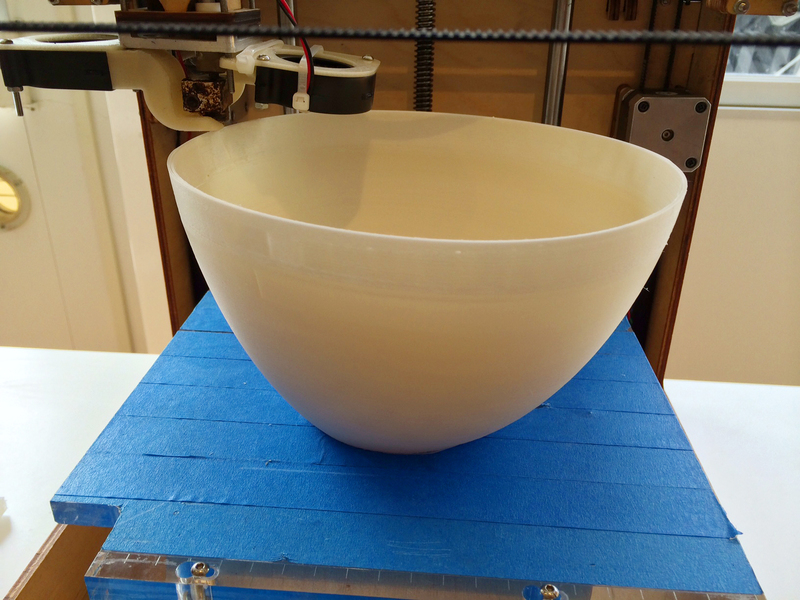 Your 3D printed object will be shipped right to your home! There is plenty of information on 3D printing to find on the internet. best way to learn more is of course to visit! Second XL 3D printer is in the making. Together with construction studio Fiction Factory we are assembling and installing the XL 3D printer on the building site. We are super excited to start working with it and experience its upgraded features! The second silver container can be spotted next to the first XL 3D printer on the site. With a similar shiny silver appearance to the first printer, it doesn't give much away about its improved features. But beauty comes from within: the second XL 3D printer really is a XL 3D printer 2.0: it has an automated material input and remote control. As a result the control room at the top of the XL 3D printer can be dismissed, giving us up to 200% of the original print volume. And we never have to climb the steep stair to refill the printer anymore. Moreover, we can upload files when and wherever we want. XL 3D printer 2.0 is controlled via its own website and will print 24/7 because it has an integrated drying system! Second XL 3D printer underway! Less than one year ago we moved the XL 3D printer to its current location. Now Fiction Factory is building up the second XL 3D printer - soon we'll be able to print more, better and faster! 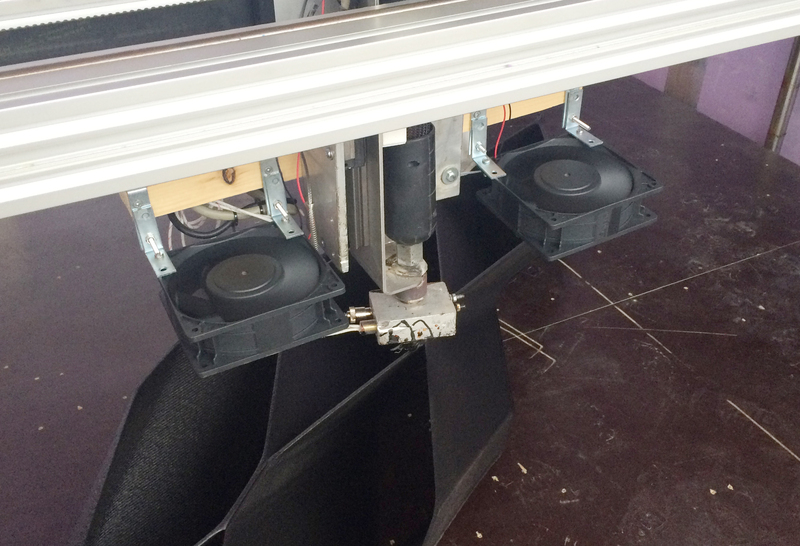 By attaching two powerful fans to the printer head of the XL 3D printer we are again able to print faster! This especially benefits the (parts of) pieces that have a small surface area. Before, we had to slow down the printer with these pieces because the track it has to follow is smaller, thus leaving less time for the previous layer to harden. 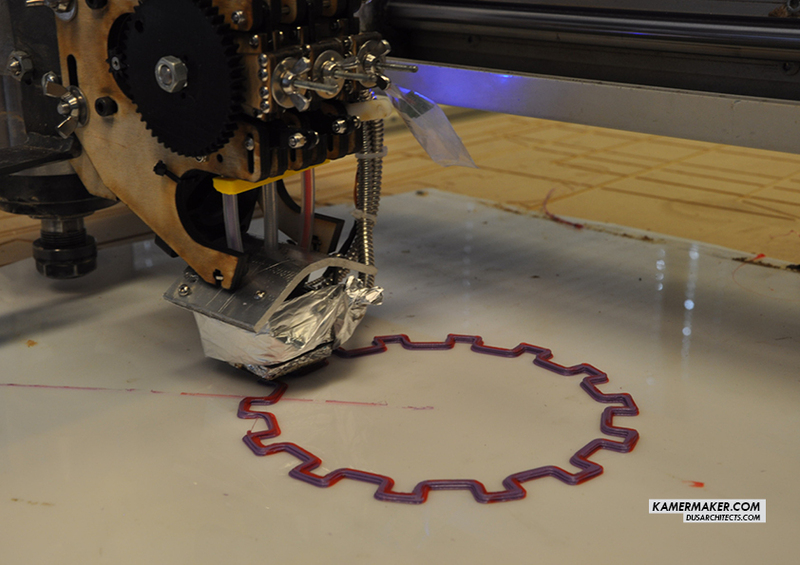 The fans quicken the hardening process of the previous layer, allowing us to print faster and more accurate. XL 3D printer is now printing 3 times as fast! With the update of its engine, the XL 3D printer is now printing at more than three times its initial speed! Since we didn't want to climb the steep stairs anymore to refill the printer every 20 minutes or so, we've printed an enlargement of the container that holds the printing material. XL 3D printer on the move! 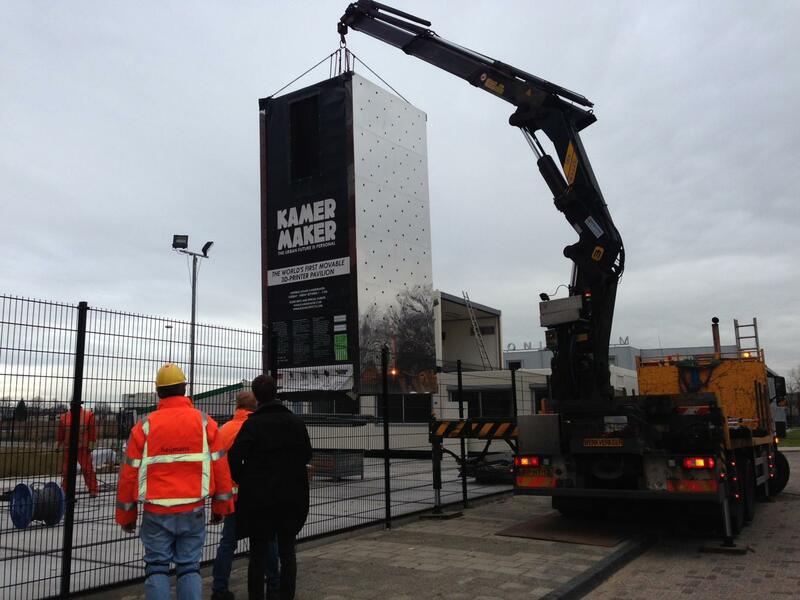 The XL 3D printer is moved to the construction site of the 3D Print Canal House! Now It won't be long before we can 3D print on site! The start of a test print with a new hotmelt from Henkel. The canal house design continues to evolve and our tests continue to grow as we break the 2.5m barrier! 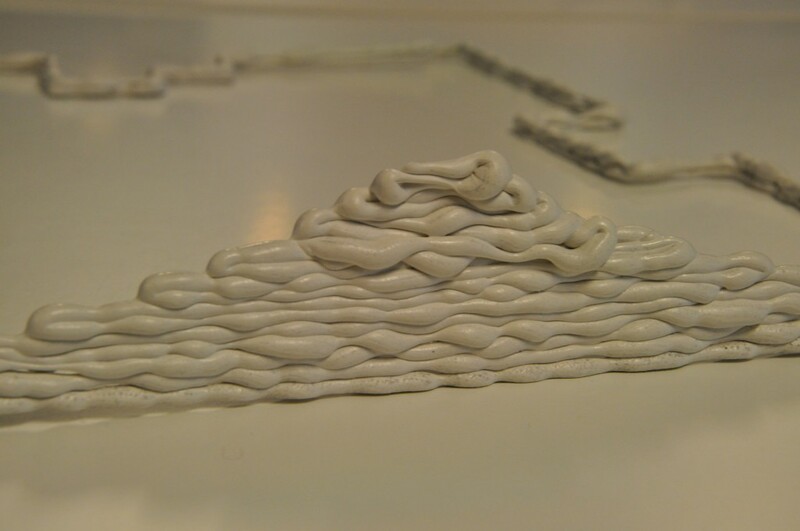 Snapshot movie of last Saturday’s 3D-print-test researching new material settings and constructive ornament ideas. Partner DOEN visited the KamerMaker. 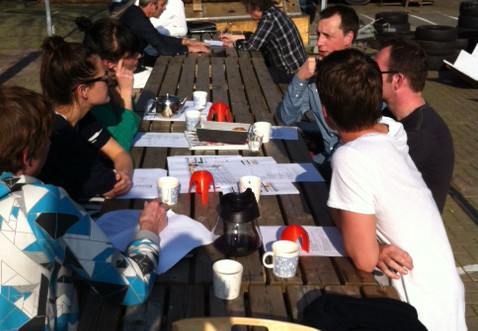 We had a nice analogue presentation and discussion about the effects and future possibilities of 3D printing. Today the KamerMaker is one of the Amsterdam locations for the international press visit in the context of the Coronation fever. Crews from Russia, Japan, Costa Rica, Germany, Norway and many others where interested to see the innovative side of Amsterdam. 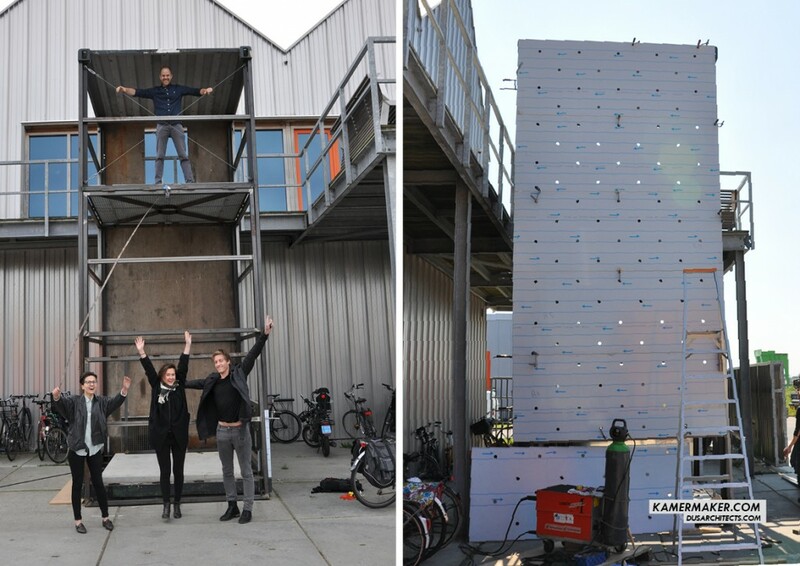 Today we celebrated the launch of the building of the Worlds’ first 3D-printed Canal House. 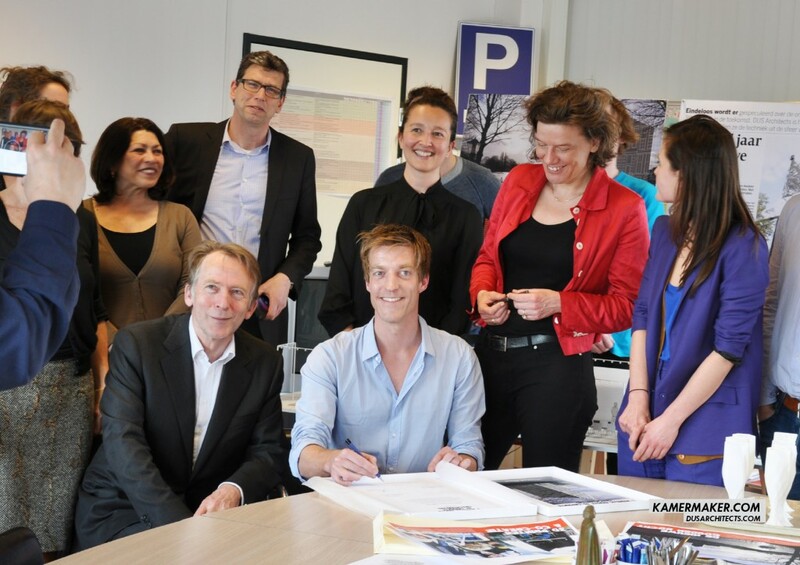 Amsterdam deputy mayor Carolien Gehrels, Amsterdam Smart City partners, the Amsterdam Economic Board, the Dutch Building Industries and DUS architects with the KamerMaker team signed a letter of intent and secure the start of the first building phase in 2013. It starts today! The KamerMaker has been printing during the recent snow period! Stichting DOEN also gave us a visit to talk about what the KamerMaker will do in the upcoming year. We gave them a little demonstration. 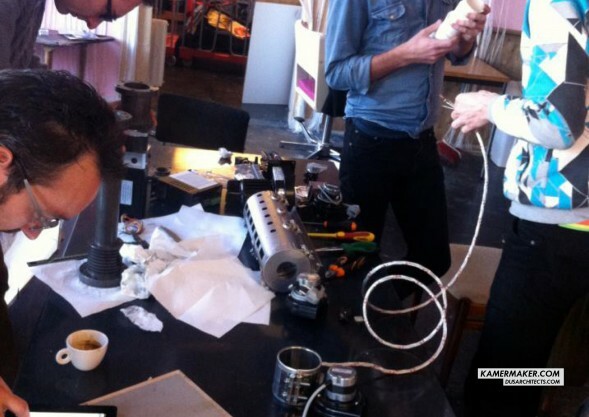 We are assembling our new high-tec extruder for the KamerMaker with Servan from Xtrution, Joris and Siert! Canal House printed by XL 3D printer? almost the end of 2012... here's a sneak peek of our future plans... what if we could 3D Print a house, room by room, with the XL 3D printer? The KamerMaker has been open for almost 4 weeks now and we wanted to give you a update on the printing research and development. 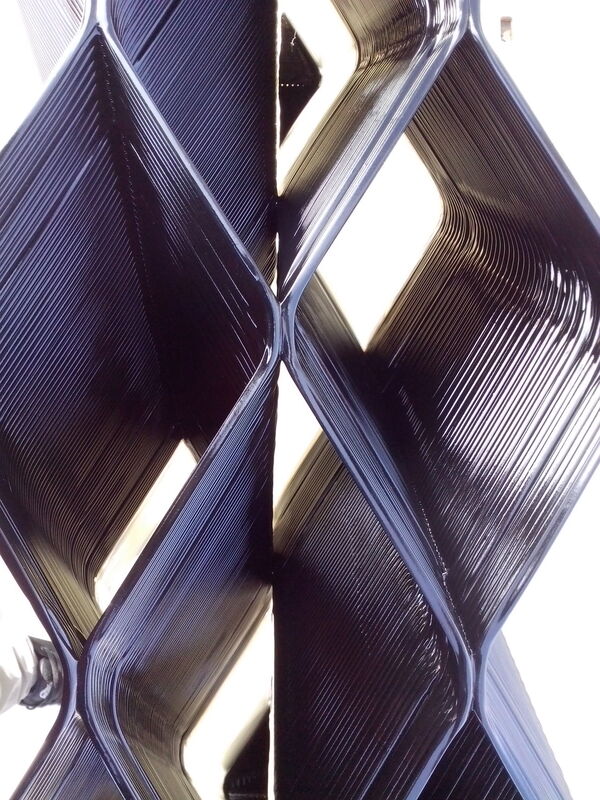 We are currently test printing with an extruder which Joris created especially for the KamerMaker. The design for the extruder is based on an Ultimaker, however it accepts 3 filaments of plastic rather than one. The extruder was assembled from 3d printed parts (which were printed on an Ultimaker) and laser cut wood pieces. The output of the extruder is not enough for XXL prints (2m x 2m x 3.5m) but so far it has worked for XL prints (.5m x .5m x 2m). Last Friday, we planned on printing a 1.5m tall column over the course of one day, however the weather did not cooperate with us, so we had to start our print in the afternoon and continue into the evening. Even though we didn’t achieve the height we wanted, it was a great opportunity to see what the KamerMaker looks like at night. Since the opening we have been receiving a steady stream of visitors at the KamerMaker. The visitors have ranged from designers/design students who would like to print an object to local residents who are curious about the project. Many people have asked when and how they can print their own design on the KamerMaker, however we are not ready for that at this time. The plan is that over the next few months we will continue to test different extruders and really perfect the technique. 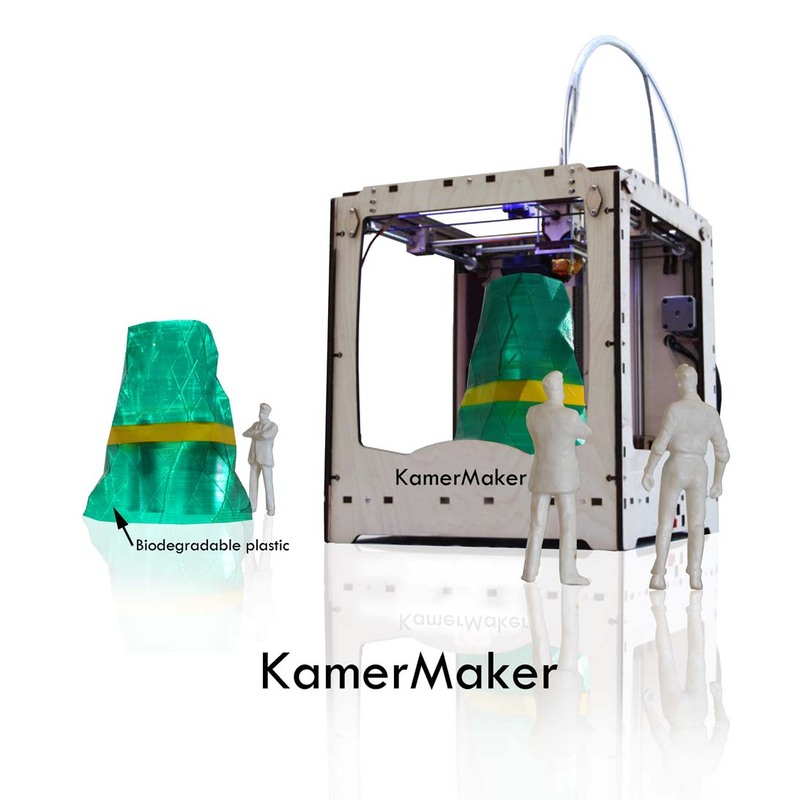 After we have successfully printed several pieces and feel the print quality is up to par, then we will open up the KamerMaker to other designers. Until then, everyone is welcome to stop by the KamerMaker to follow the live testing and experimenting. The XL 3D printer is officially up and running! 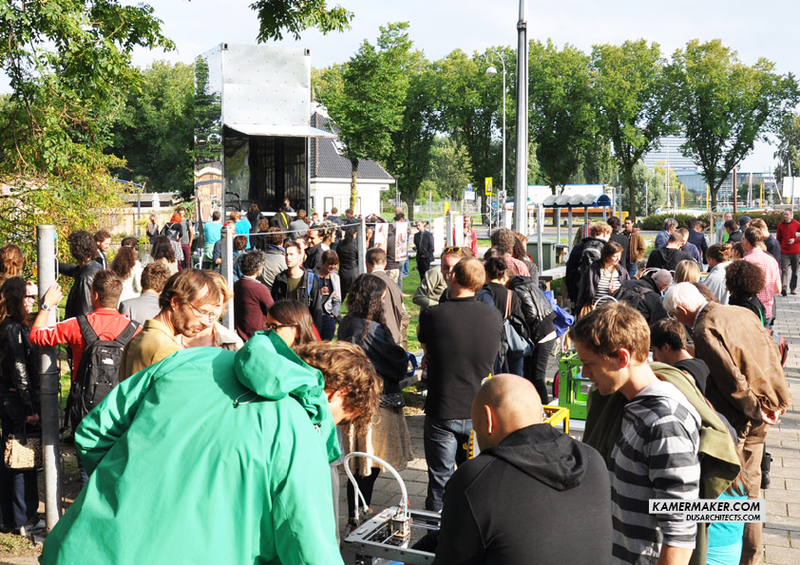 On Sunday we celebrated the opening of the world’s largest portable 3d printer in the front garden of our office. We had great weather for the opening and there was a large and diverse turnout. Thanks again to Carolien Gehrels, Deputy Mayor of Amsterdam for helping us officially open the XL 3D printer. We have to thank all the collaborators for their hard and dedication to the project. Thanks again to the Open Coop, Ultimaker Ltd, Rooie Joris, Fablab Protospace, Fiction Factory, Faberdashery, Xtrution, Almond Techniek, Tentech, Stamhuis Techniek, Amsterdam Energie and other volunteer enthusiasts which helped make the XL 3D printer opening such a success. We have been working with Joris at Protospace to develop a new high powered Ultimaker extruder which uses 3 plastic filaments at one once instead of one. This is still a rough prototype, but we have got some nice results from it. One of the most exciting opportunities is that we can begin to easily mix colors in our prints. We attached the extruder to the CNC milling machine at Protospace to do some full scale testing. Thanks to Joris for his hard work on this and we look forward to testing it on the KamerMaker and also thanks toProtospace for letting us use their space for testing. It’s been a while since a posted an update on the KamerMaker, but that is because we have been so busy getting ready for the official opening on September 16th. 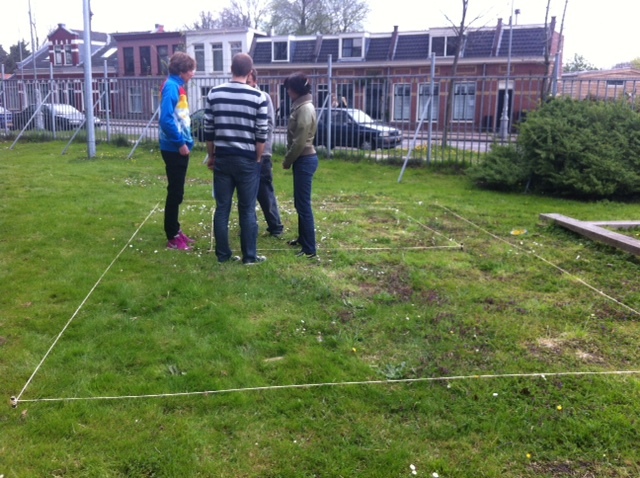 For the past couple of weeks we have been preparing the garden space in front of our office for the delivery of the shipping container next week! 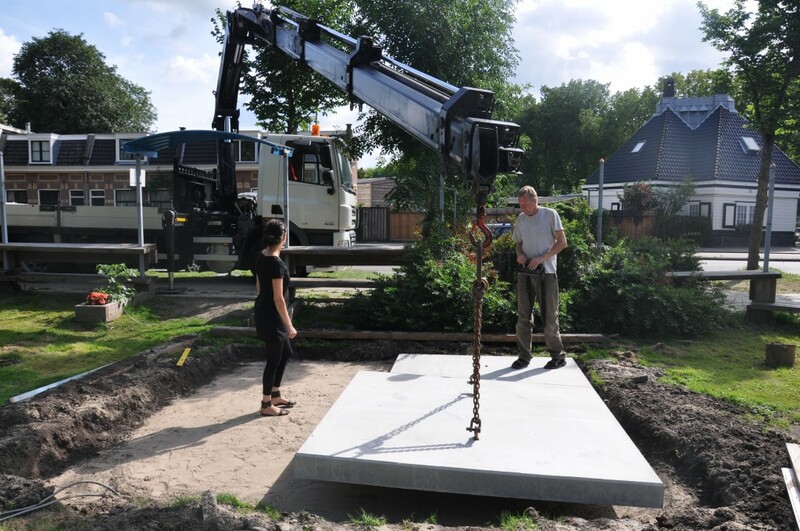 Today the concrete pads were delivered which will be used as the base for the shipping container. Fiction Factory is finishing up installing the facade, and next week the XYZ gantry will be installed at Fiction Factory. 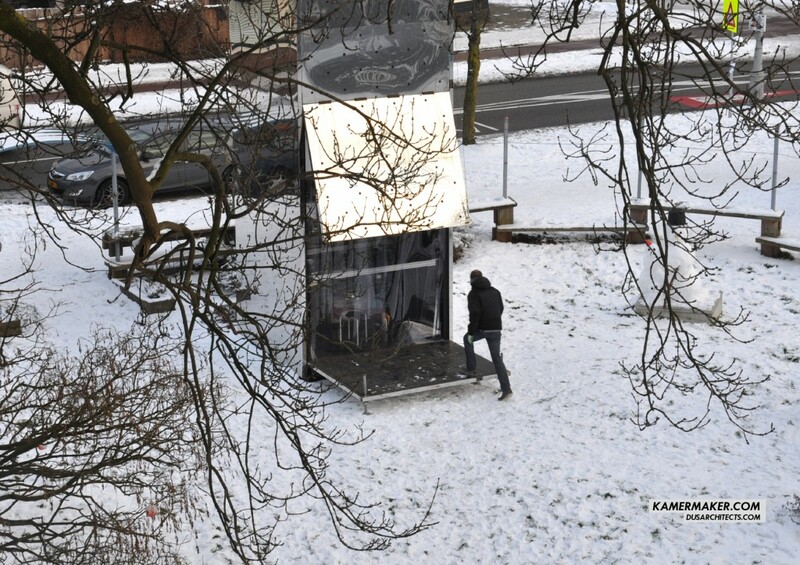 The KamerMaker is really starting to take shape at Fiction Factory, because last week the stainless steel panels arrived and the installation has begun. We are hoping that the facade will be installed by the end of this week. Unfortunately, everyone will have to wait until September for the big reveal of the mirror facade, which is when we will take off the protective plastic. Thanks again to Fiction Factory for their hard work on the project. Next step is printing all the wind mills for the facade! We would like to share the final design for the facade of the KamerMaker which is currently being fabricated. As we mentioned earlier, we are using a shipping container as the main frame for the KamerMaker, and will be tilting it up vertically rather than horizontally, so that we will be able to print rooms that are 3 meters tall! The container will be clad with perforated stainless steel panels, which will have 3d printed objects inserted into the perforations. As we mentioned in a previous post, we will be hosting the the next Ultimaker meetup on July 16th at the Open Coop in Amsterdam, where we will begin printing wind turbines for the facade. So, for those who may be interested in Ultimaker, own an Ultimaker, or is interested in the KamerMaker are invited to this event and help us print our facade. 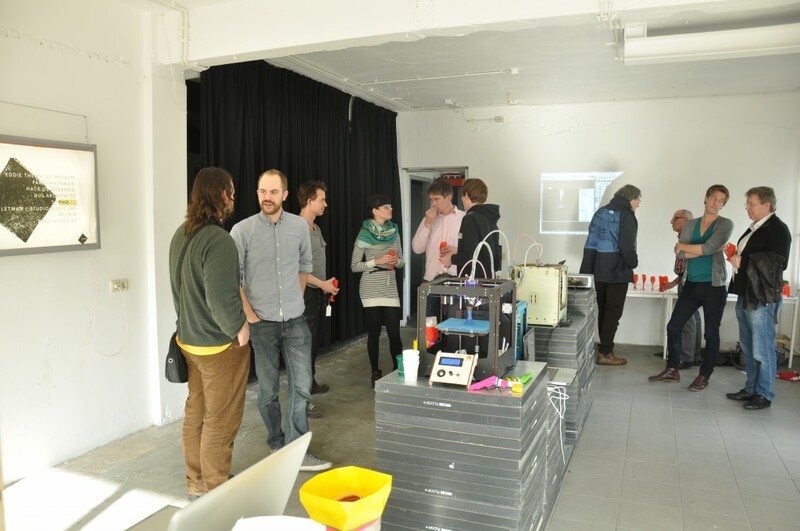 Despite the unforgiving weather yesterday, we had a great turnout for the Ultimaker meetup at our office. There was a very energetic and collaborative atmosphere where attendees helped us 3d print wind turbines for the facade, offered their advice about the wind turbine design, and engaged in some nice discussions about the design of the KamerMaker. Thanks for everyone who attended and we look forward to continuing to be engaged in this collaborative community. 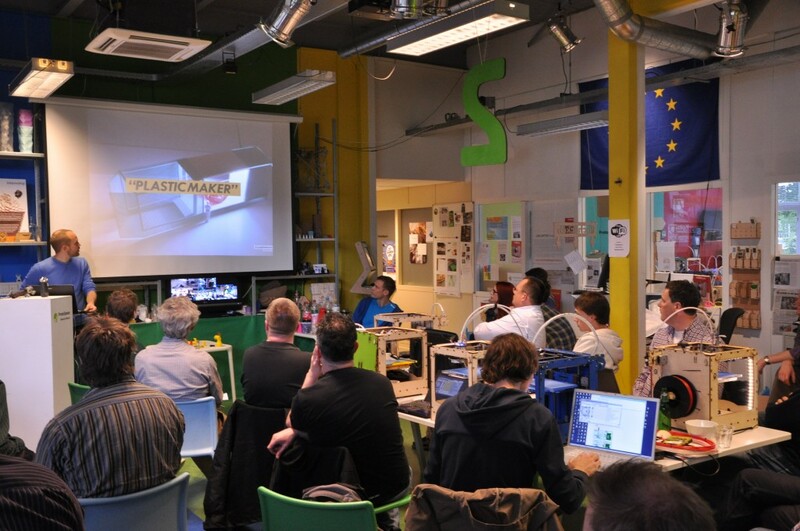 This week we attended the Netherlands Ultimaker meetup at Protospace in Utrecht. Every six weeks, Ultimaker users meet at different locations to discuss new developments, test new machines, troubleshoot problems, and present ideas related to Ulimaker. We attended this meetup to present the KamerMaker to the community and present our idea for the next meetup. 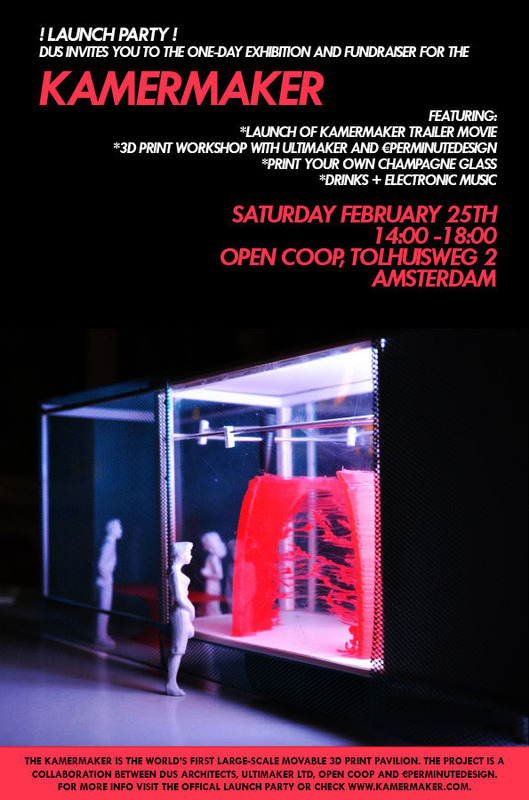 Our idea is to host the next Ultimaker meetup at the Open Coop in Amsterdam, and have the attendees help us print pieces for the facade of the KamerMaker. The facade for the KamerMaker will be made out of perforated stainless steel where we will insert 3d printed pieces into the perforations. We would like to print small wind turbines which can generate enough energy to power an LED. We are currently testing different designs and will publish those soon. 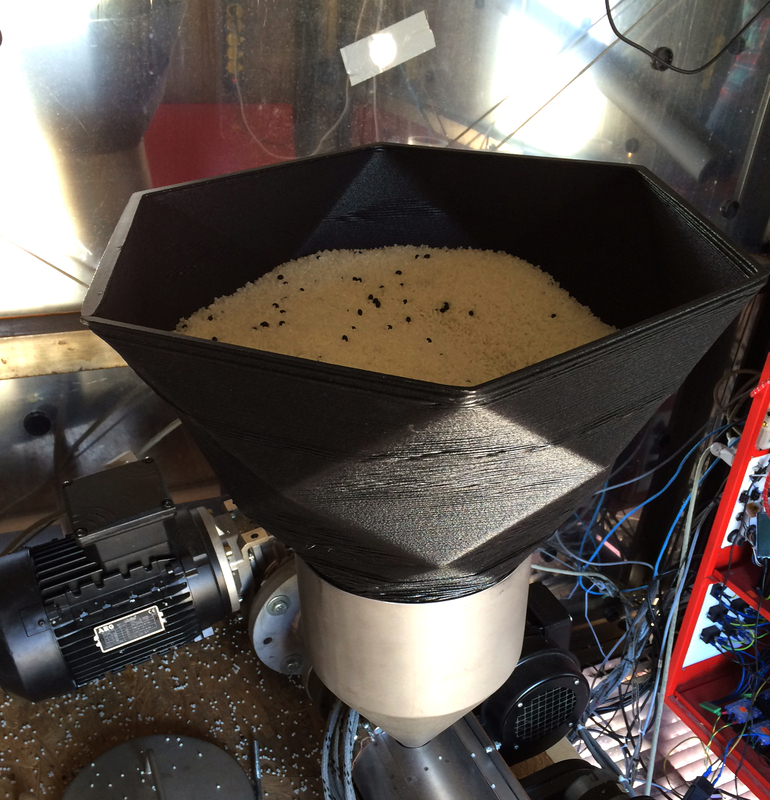 So, the next meetup will be on July 16th at the Open Coop in Amsterdam where the KamerMaker will be. So, we would like to open up an invitation to anyone who may be interested in Ultimaker, owns an Ultimaker, or is interested in the KamerMaker to attend the event and help us print our facade. The idea is that people will bring their Ultimakers to the Open Coop, DUS will provide designs to printed and print material (3mm filament). Keep following the blog for more information and details about this event. Is the KamerMaker a utopic dream? Well, last week we participated in a discussion with several other architects/theorists where we discussed that question along with various other topics related to utopian architecture. 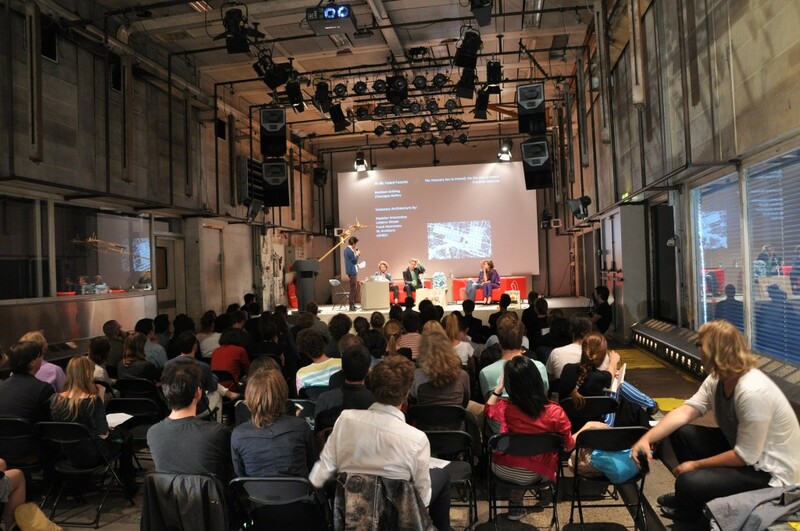 The discussion, named Failed Architecture, was part of ongoing series of lectures at TrouwAmsterdam. It was great for us think about the KamerMaker within this context and project its implications to architecture and construction. We look forward to continuing this discussion with the public when the KamerMaker is up and running! 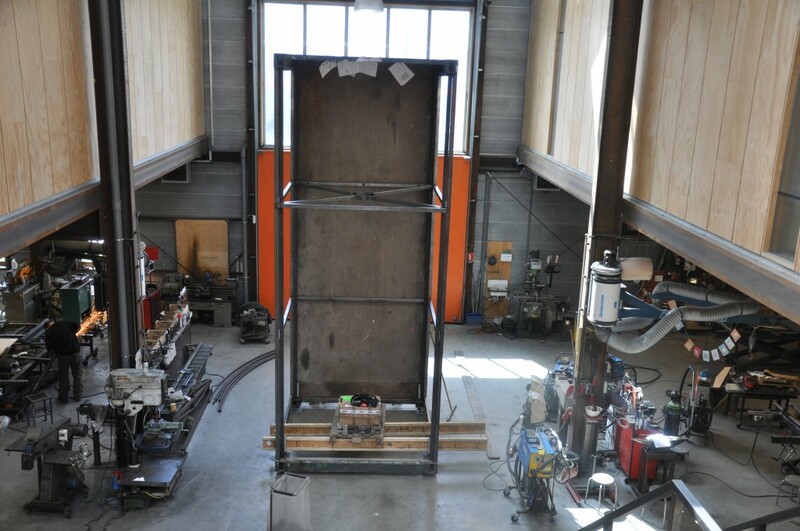 We recently purchased a shipping container which will be used as the main frame for the KamerMaker. It is currently at Fiction Factory where they first dismantled it and are now rebuilding it. 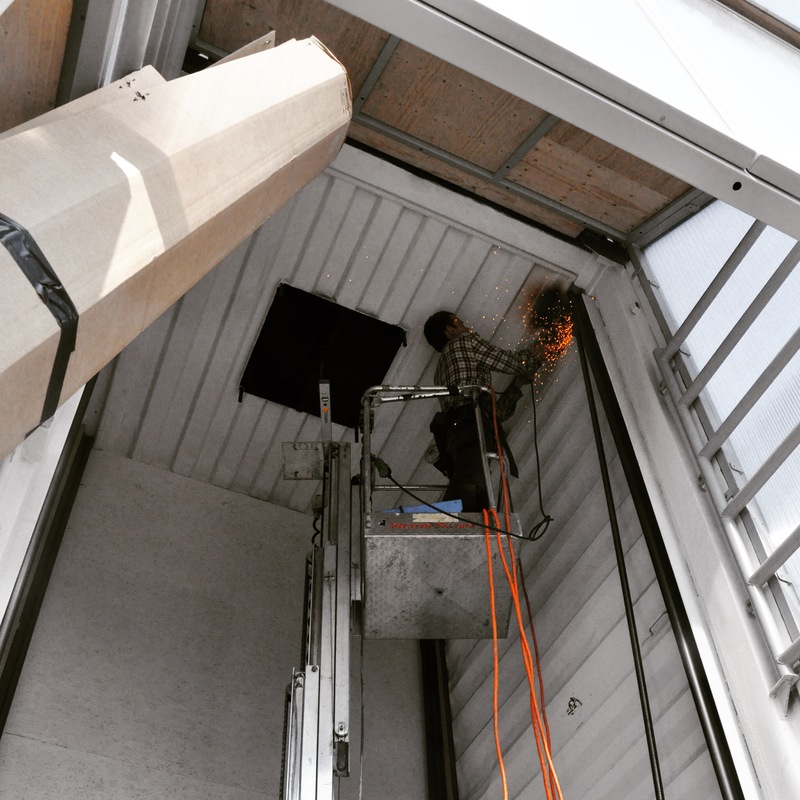 However, for the KamerMaker we would like to use the container frame in a unconventional manner by tilting it up vertically rather than horizontally, so that we will be able to print rooms that are 3 meters tall! Today was a big day for us because the container was flipped up vertically for the first time. It was great to see the new frame and understand how big our prints are going to be! 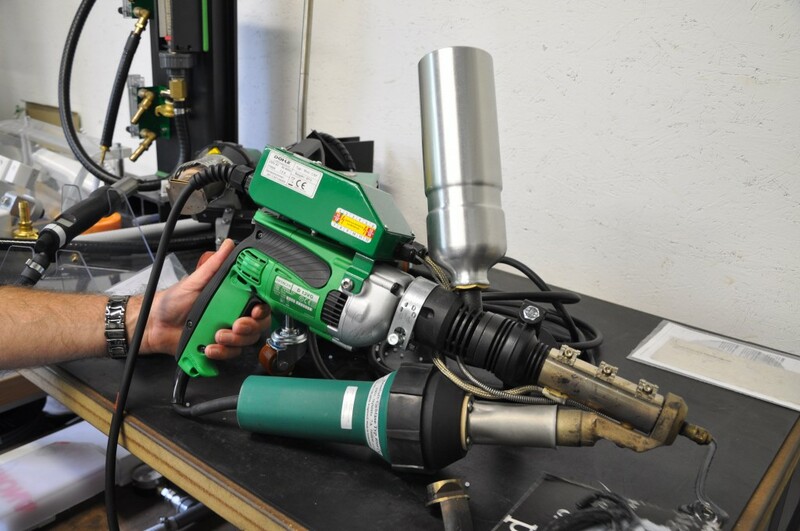 We recently visited an extruder manufacturer to continue our research into how extruders work and how to create one. We tested several different sizes and types of extruders to see which one would fit our application. We created our first full scale full print! 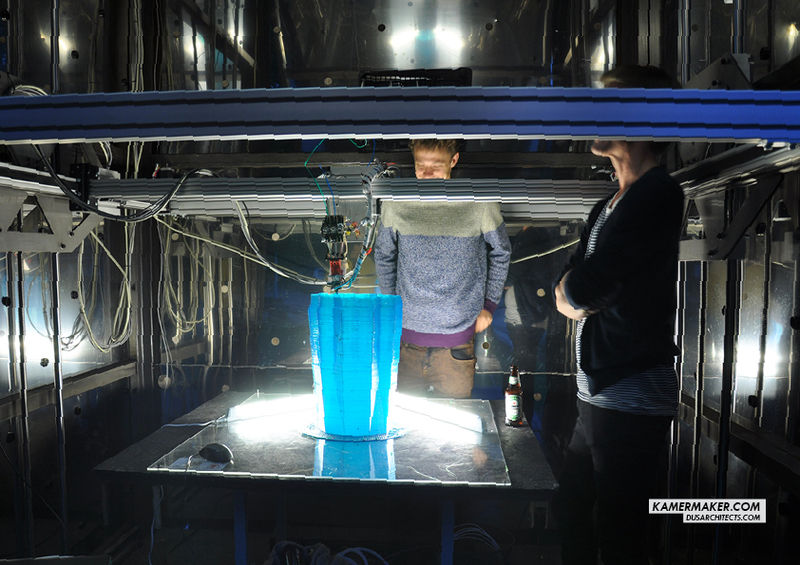 We have been working at Protospace for the past month to create and test a full scale plastic extruder. Last week we finally got the extruder up and working , so we atttached it to the CNC milling machine to see what it could make. Even though it works, this is just the beginning and we have many more tests to perform. At our last design meeting we discussed our updated facade design with Fiction Factory and how we can develop a plastic extruder with Joris from EPMD. 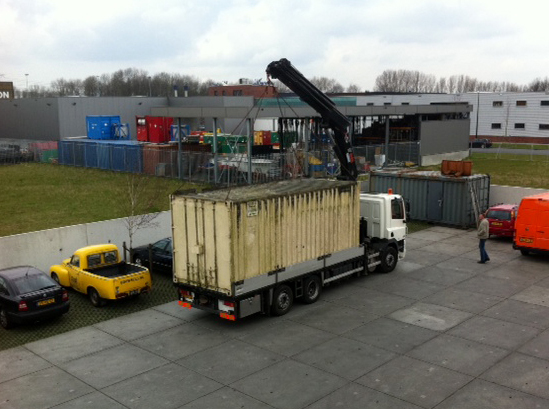 Look at the shipment that we received last week…this container will be the base for the KamerMaker! We would like thank everyone who came by on Saturday to visit the launch party! It was great to talk and share our ideas about the project with experts and non-experts in 3D printing. We received nice feedback from many of the visitors which we hope to apply to the project. Here is our animation of the XL 3D printer in action! Here is one of the first KamerMaker designs! The 3D Print Canal House is supported by a large eco-system of cross-sectoral partners. Parametric design tools allow architects to make adaptable design that can conform to all kinds of circumstances, like location and climate. It invites us to design energy-efficient façades that can be altered guided by their coordinates on the earth. Here you see an image of a map of the world, each geo-location coordinate translated into its corresponding solar angle. Close to the equator the sun shines on the façade at a totally different angle than it does here on our building site in Amsterdam. The geo-location of the building site can be added as a parameter to the 3D model, so that wherever in the world you are, you can print a façade with an optimized shape! That not only makes collecting solar energy more efficient, it is also great for reducing energy loss inside your home. "How can we integrate a smart distribution of resources in the 3D Print Canal House and combine data and energy with digital design and additive manufacturing techniques?" Like many things we own or use everyday, sensors are found everywhere. Placing small sensors within the print material could enable us to print a house that could relay data about weather, light, and temperature. This information could be used to alter and update resources used by the house in real time.